Yes! Travel Time! 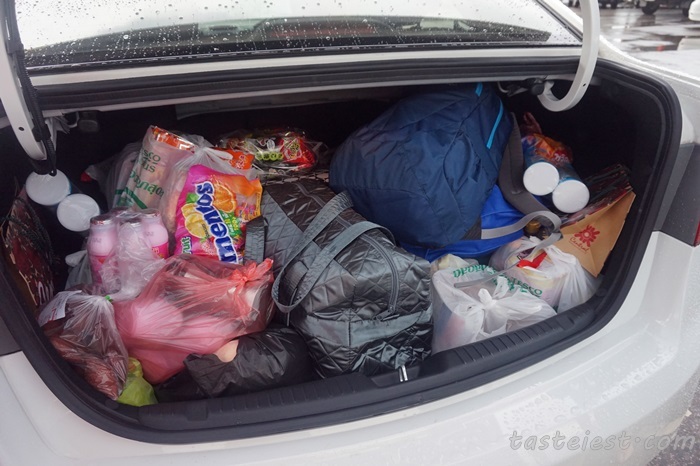 We got no more travel budget for Year 2015 as we spend too much in 2014 for US and Korea trip so in 2015 we have to visit the nearest country that reachable by car, that is “Hatyai, Thailand”. 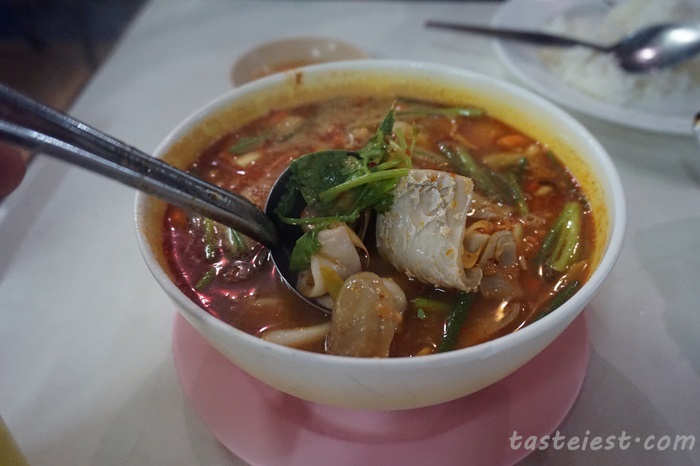 It is not something new and this is the 5th visit, we always like to visit Hatyai since their food and culture is completely different compare to us and more affordable as well. 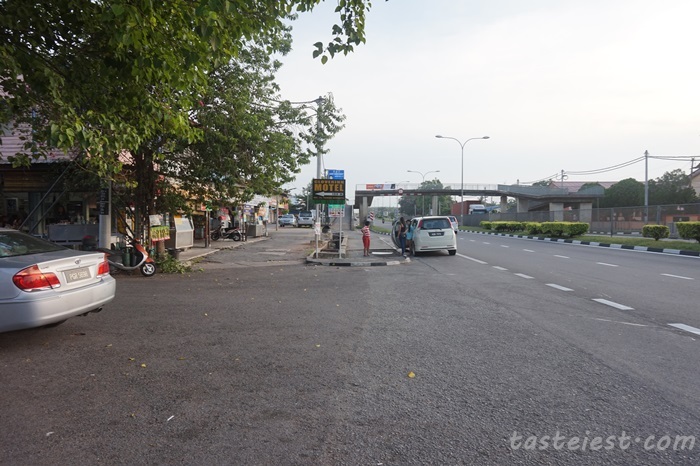 Please check out our previous visit to Hatyai and guide on How to Drive to Hatyai. 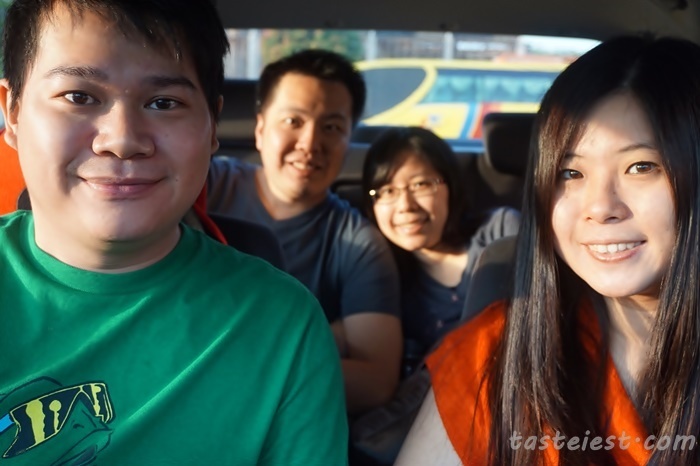 As usual, we feel comfortable driving to Hatyai and it is extremely convenient, together with us are my good old friends with his girlfriend. This is the first time 4 of us travel together and i kind of hosting them since this is my fifth visit although they visit before as well but sound like i am more senior. 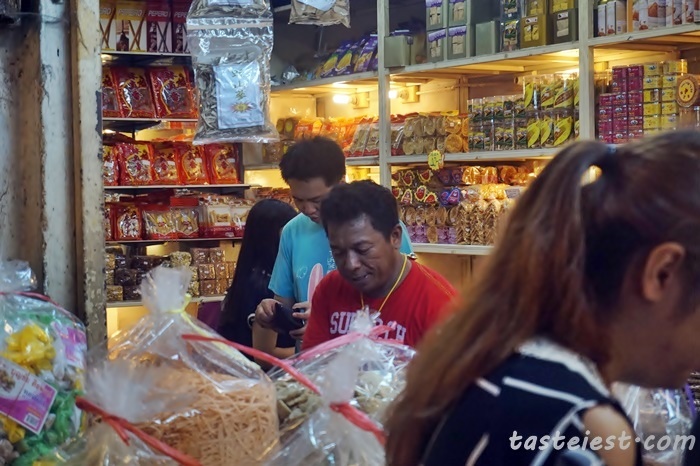 Anyhow, we have very simple and relax itinerary where shopping and eating is our priority, no temple visit, no tourist attraction* (Partially Yes….HAHA). Here is our schedule. We plan our schedule and route using Google Map while driving in Hatyai using offline Garmin device. *Important* Fill up your car before immigration (around Kayu Hitam area), petrol price in Thailand almost double. We do currency exchange at Kayu Hitam coffee shop together with “white card” and car insurance. 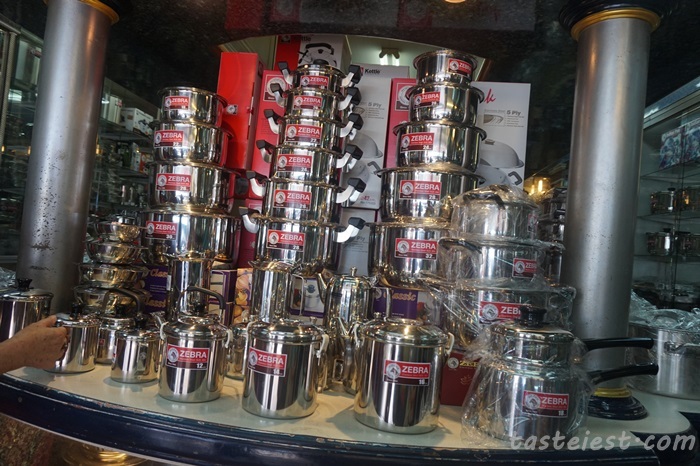 Any coffee shop, petrol station or souvenir shop provide this kind of services. 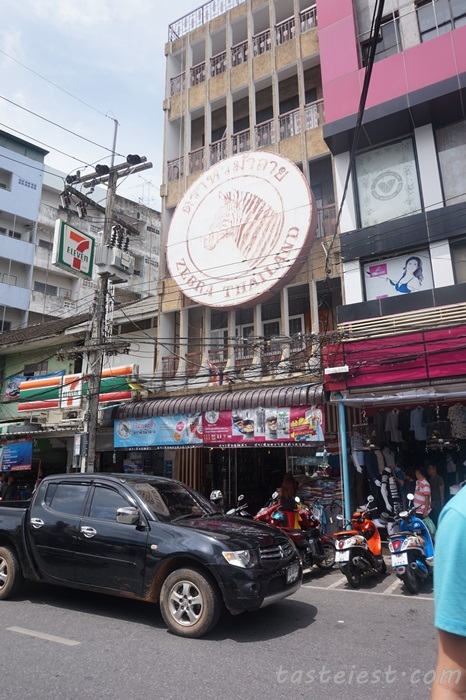 This is the shop normally we went, they open early in the morning and better exchange rate. 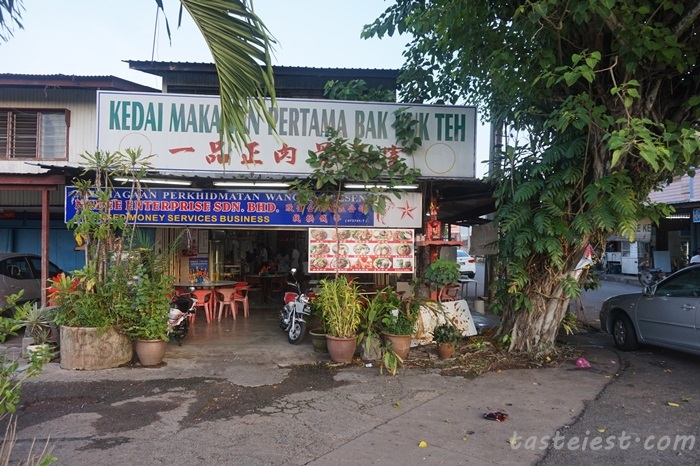 Kedai Makanan Pertama Bak Kut Teh, it located on your left side, the shop open early in the morning and they do provide breakfast as well. 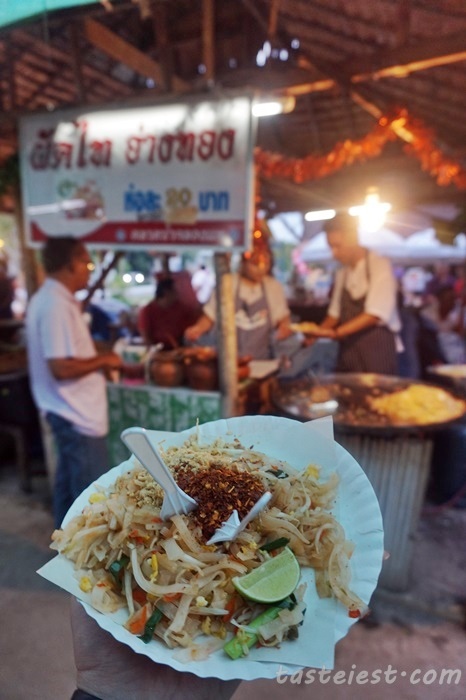 Normally we will just have a cup of drinks and keep our stomach empty for Hatyai food. You just need to handover all passport to the counter and they will prepare the immigration form for RM1 each, car registration certificate (aka garan) are required to purchase insurance, minimum 14 days (RM15) or 1 year. 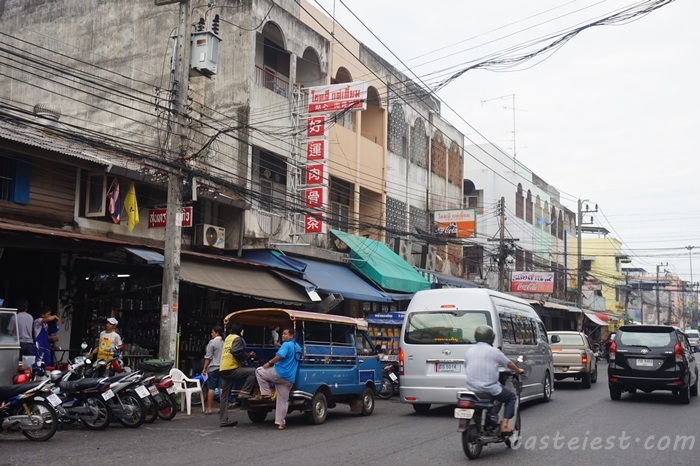 Again, for more detail, please check our “Driving guide to Hatyai” which has very detail step by step. 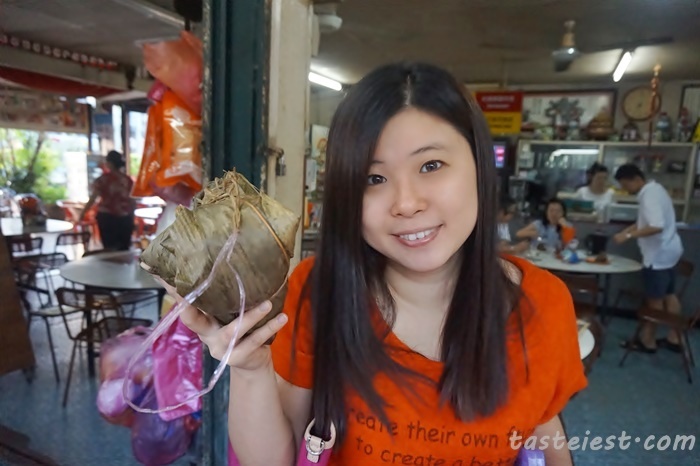 Super big Bak Chang (Dumpling) found here. Exchange rate is RM1 = 8.90Baht, exchange 5000baht only since we just go for short 2 day 1 night trip, credit card can be use for groceries shopping. Even not enough, you still can exchange at Currency Exchange near Lee Garden for pretty much the same rate. Let go! Hatyai! We are coming! 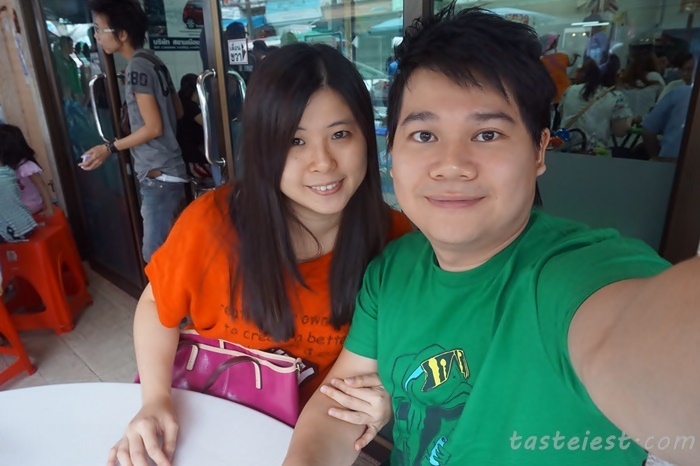 Our very first stop is Lucky Dim Sum, honestly it is one of the best Bah Kut Teh i had in Hatyai. Wait! Why Bah Kut Teh instead of Dim Sum? Sound weird? 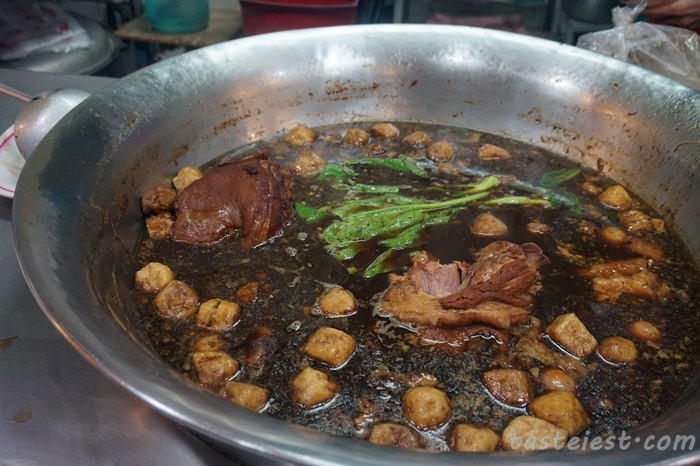 Don’t be surprise, Bah Kut Teh are almost everywhere in Hatyai and for sure here got Bah Kut Teh as well. 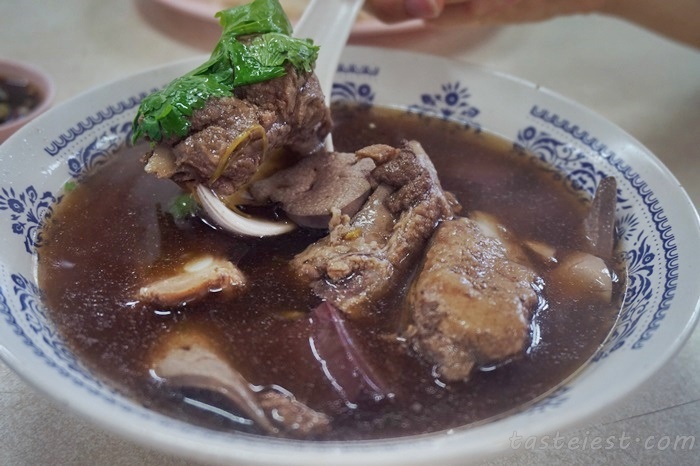 Personally i found the Bah Kut Teh taste much better than Dim Sum. It is always crowded even on weekdays. *Important* You need to engage the waiters for table instead of standing there wait for nothing. Tell the waiters how many person and they will assign a table for you, a paper with table number will be given as well. 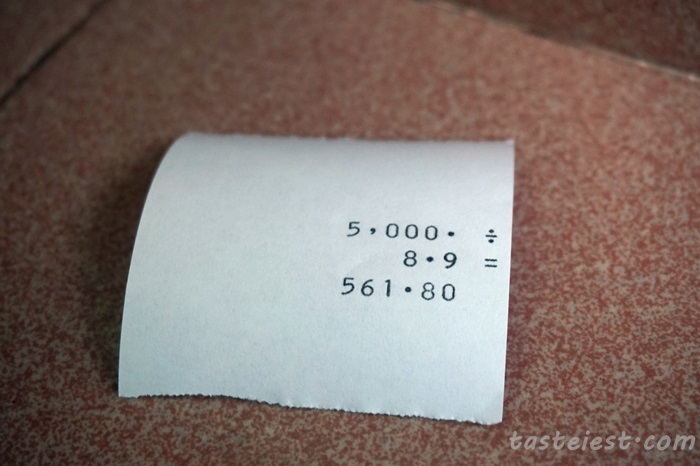 Remember, do not throw away the white paper, you need to use this to order your dim sum. 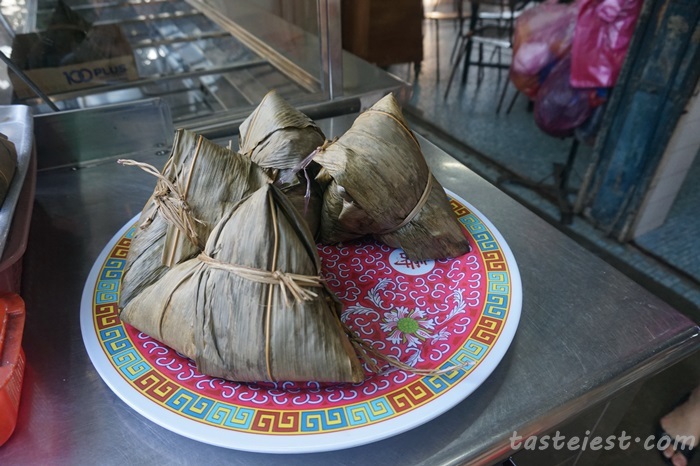 In Malaysia, normally we just wait for them to push the cart over but in Hatyai, you need to go to counter and select your DimSum then give them the white paper, they will heat the dim sum and send to your table. 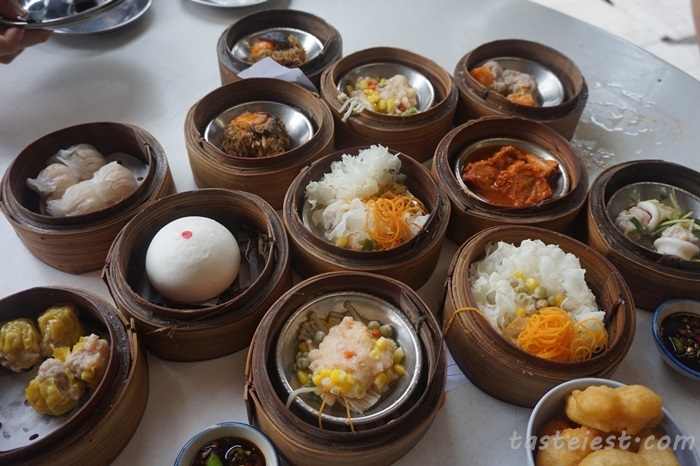 The dim sum in Hatyai are all small in size, i mean very small. 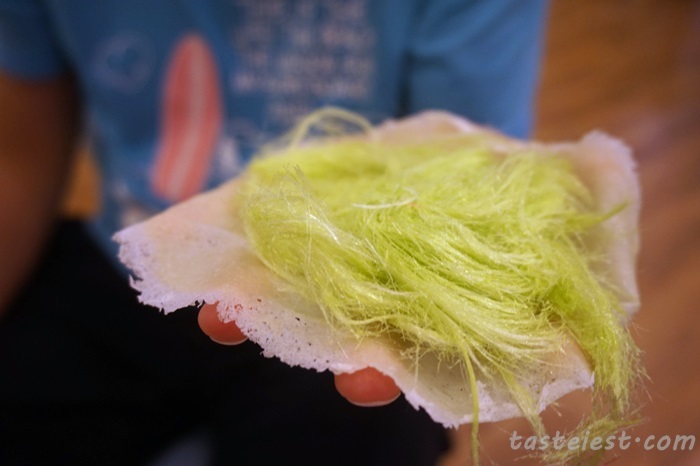 Highly recommended the white fungus dim sum which has crunchy texture and great flavor, try the LohMaiKai as well which has very strong basil leave flavor. Signature dish Bah Kut Teh, very delicious dishes that four of us finish one whole bowl. 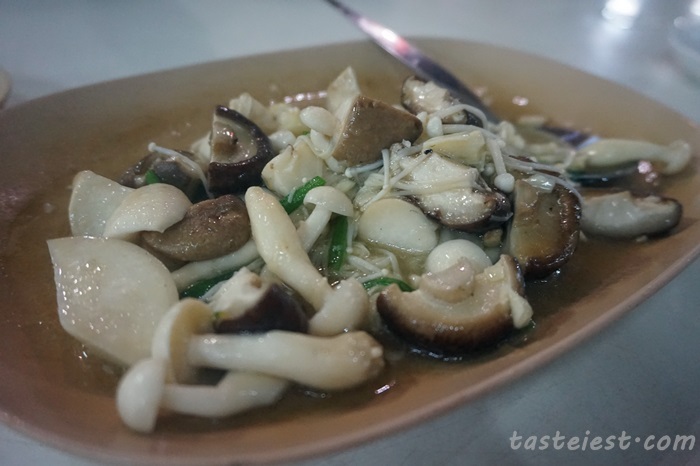 It has very strong pork sweetness with mild herbal taste, the pork meat nicely cook to soft texture and it is extremely delicious. 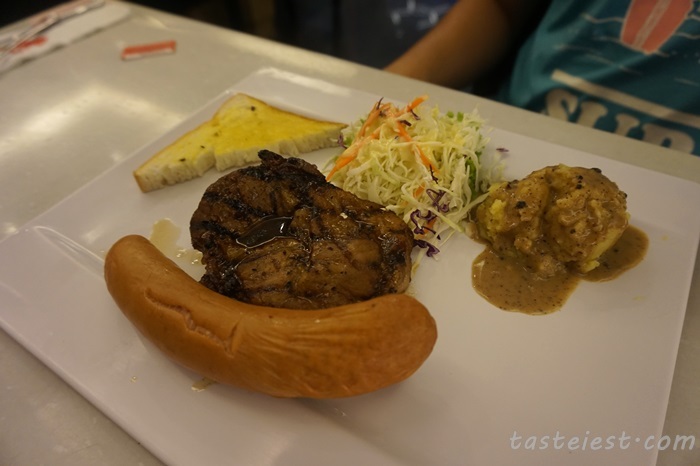 Total for this meal is 600baht, pretty reasonable right? So many plate of dim sum with big bowl of Bah Kut Teh and 4 drinks. 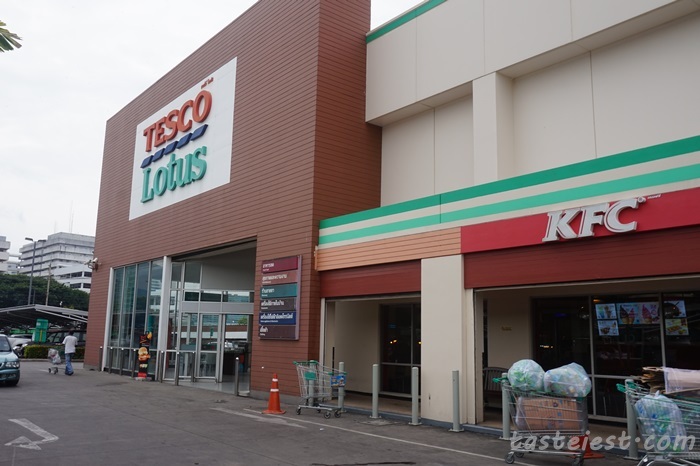 According to plan we should check in hotel after breakfast but since still early, we decided to go shopping at Tesco Lotus. We drive there since ample of parking space available. 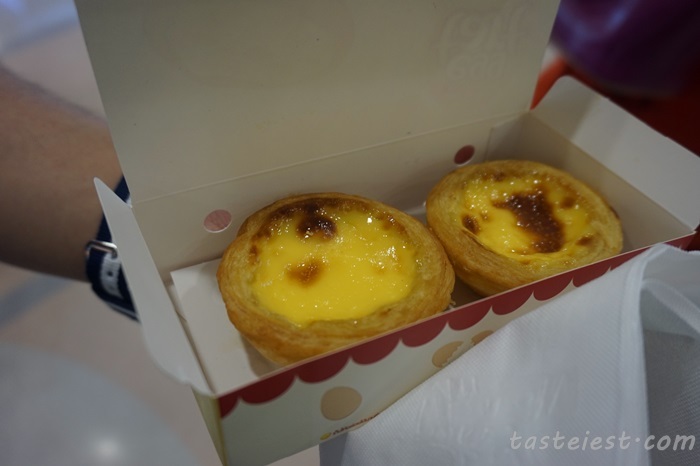 Right after the entrance we saw KFC and I never miss eating KFC Portuguese Tart whenever i visit Thailand, the Tart just 22baht each. Honestly, Thailand KFC boneless chicken also taste very good, try it. We bought 2 tart for sharing and trust me, it is really good. 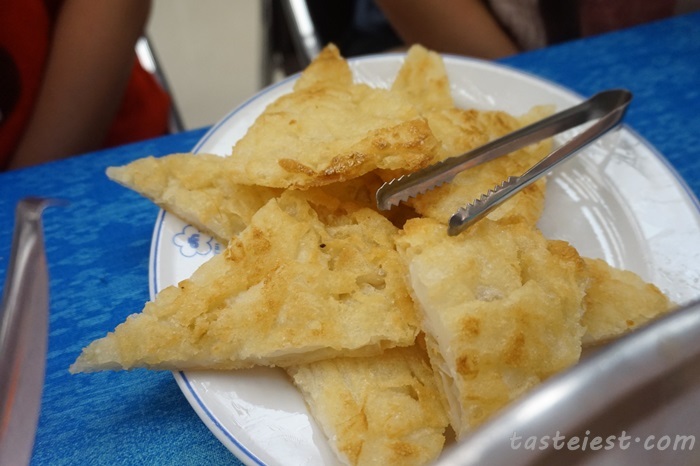 Crispy skin with full of egg aroma custard, it is so delicious. 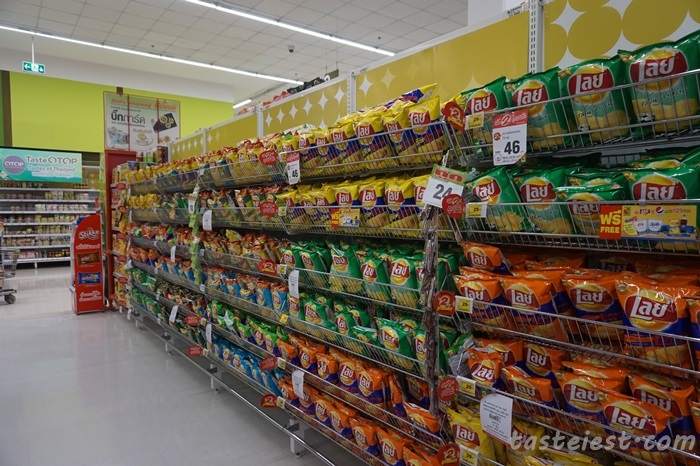 Proceed to Tesco for shopping, Lays is a must buy in Thailand. 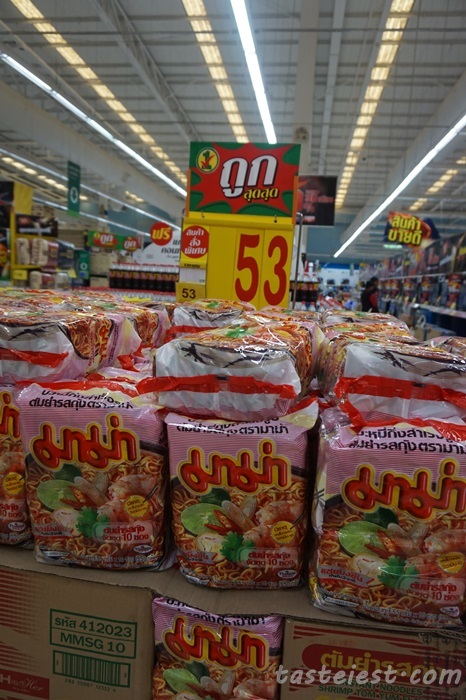 2 pack for just 59baht, very cheap compare to Malaysia but later we found Makro is even cheaper. 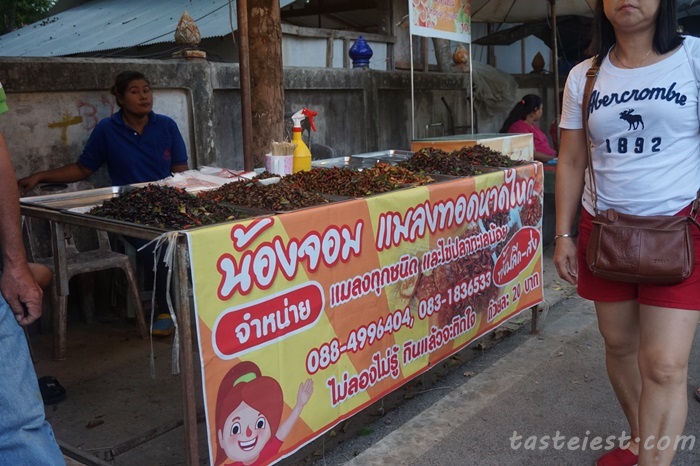 Something unique to Thailand Lays is the special flavor, such as the seaweed flavor which is so different and taste good. Another famous instant noodle (didi? 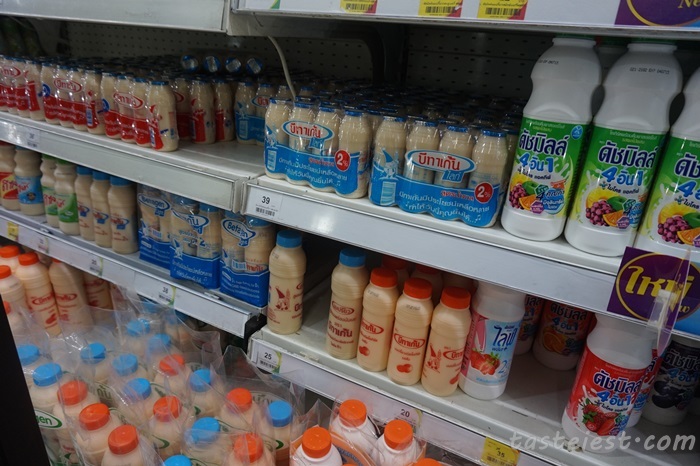 actually it is Thai word but look like English word to us, so every time we just call it Didi) which can be easily found in Malaysia but cheaper here. 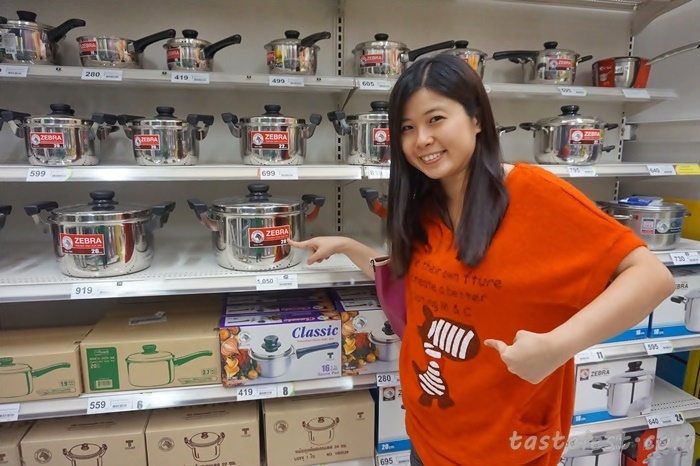 She found her “friends”, Thailand famous Zebra stainless steel cookware. 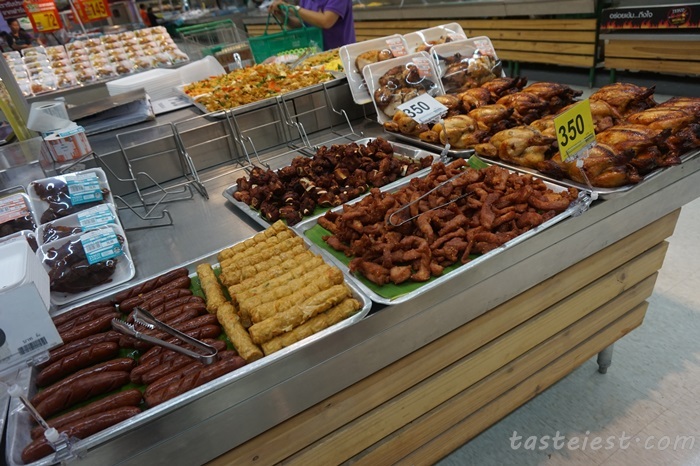 In Hatyai groceries stall, there is a lot cook food for sell and the best of the best is they sell pork meat. Yahooo! (Sorry, no offence to our beloved Malay friends). The marinated deep fried pork meat look so nice, too bad i am very full and not able to try it out. I will try it on next visit. 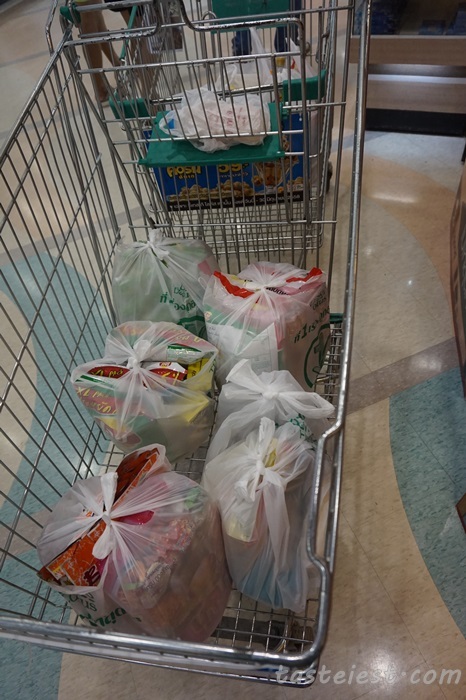 First round of shopping, fill up half trolley. Not a great achievement but still not bad right? 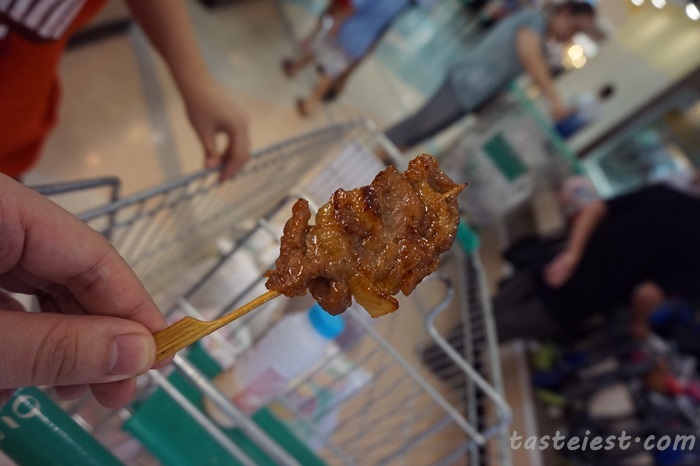 We try the Barbeque Pork Meat 10baht at Tesco food court and it taste not bad, a little bit sweet and oily but flavorful. We are so crazy, just finish eating 2 hours back and now we are heading to Daiichi Hotel for lunch (Daiichi Hotel very near to Lucky Dim Sum). What so special that make us U-Turn back here for lunch? 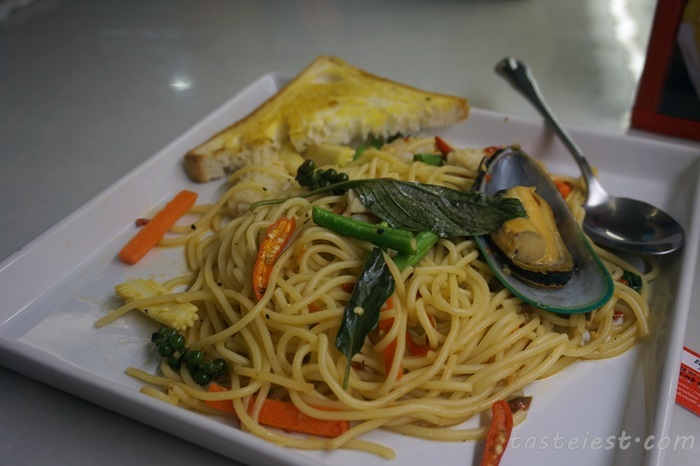 Well, this dish has never review or share by anyone before in so many blog or facebook page i visited. This restaurant has a very special dish call “Deep Fried HoFun with Fish Meat”, show them this photo to avoid confusion. We order portion for 3 but seem like they don’t understand and make a 4 person portion for us. This plate cost 475baht only. It is so reasonable, big pieces of fish meat with extra bowl of sauce that enough for 4 adult. 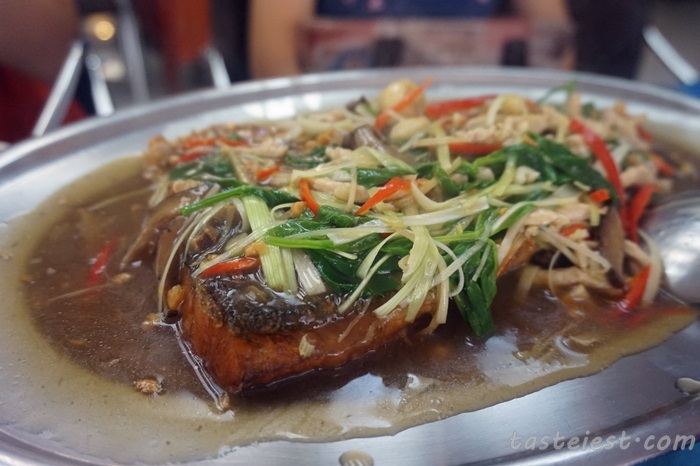 The fish meat is very generous in size, deep fried then top with special sauce, we highly recommend you eat with the black vinegar provided, it make it taste sour and sweet. 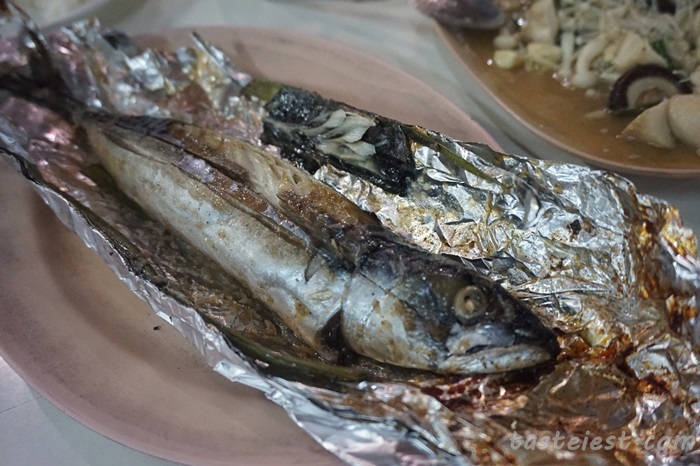 Deep fried HoFun, it crispy outside and not oily at all. 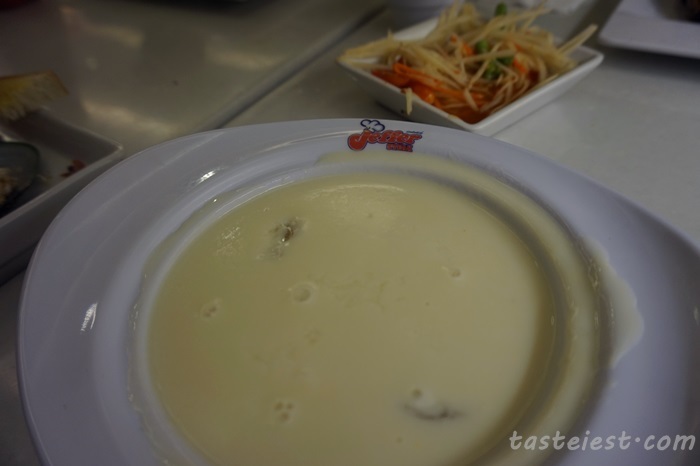 Dipping with the fish sauce and eat with fish meat is just perfect combination. 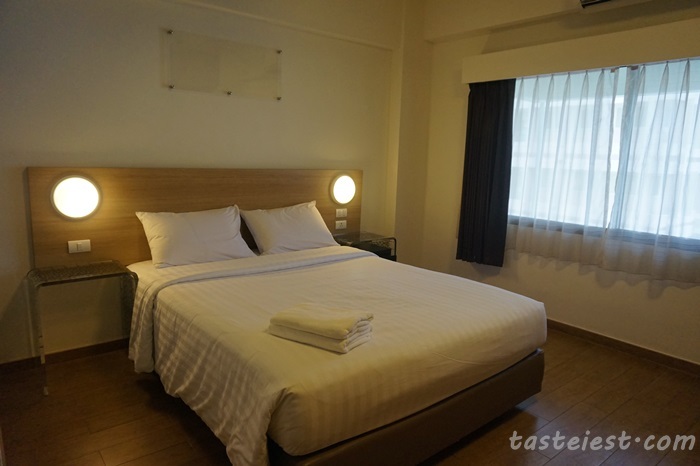 Check in to Red Planet Hotel (Formerly known as Tune Hotel), nicely located at the heart of Hatyai city, 5minute walking distance to Lee Garden and Train Station. Parking available for guest but limited, first come first serve. WIFI are available in room and lobby for free as. 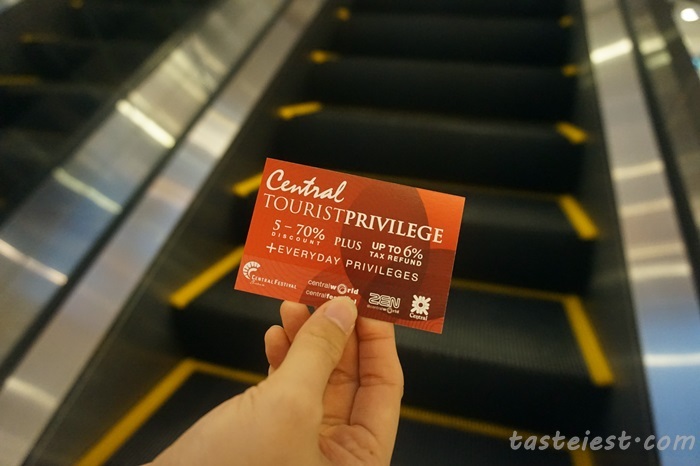 Free shuttle to Central Festival Hatyai using TukTuk for selected time. 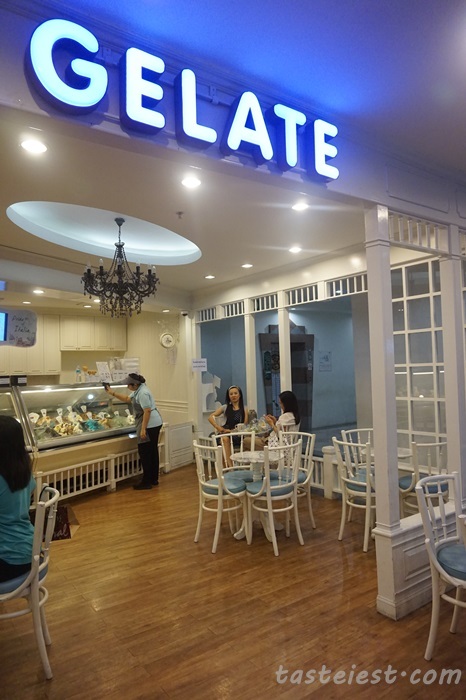 Front desk is very friendly and able to speak fluent English but only 1 or 2 person working so some delay might happen if many customer check in at the same time. I book through www.Hotels.Com for just RM115 per night which include everything. We opt for double bed room, queen size bed with two pillow provided. 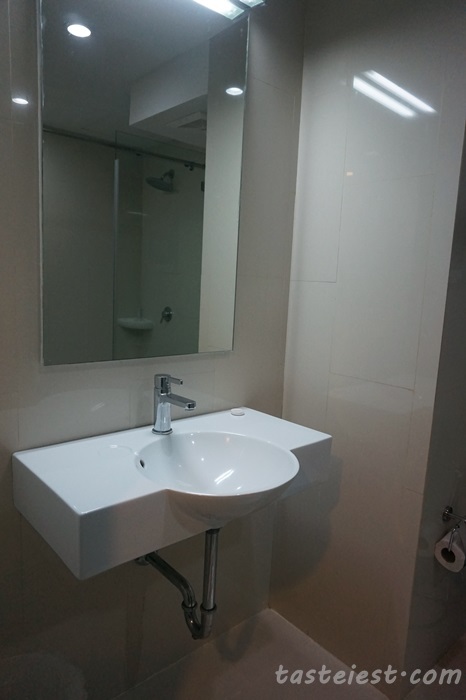 Room is very clean with tile instead of carpet which we really enjoy more, although some might say that without carpet it look lower standard but for us we feel that tile is cleaner and the wood texture tile just make it look even better and comfortable. The floor is properly clean, not sticky or dirtiness found. LCD TV with Thai channel and Chinese channel as well, a small table that good enough for ladies make up or laptop usage. Big window that allow natural lighting to brighten our room, we prefer room with great lighting. 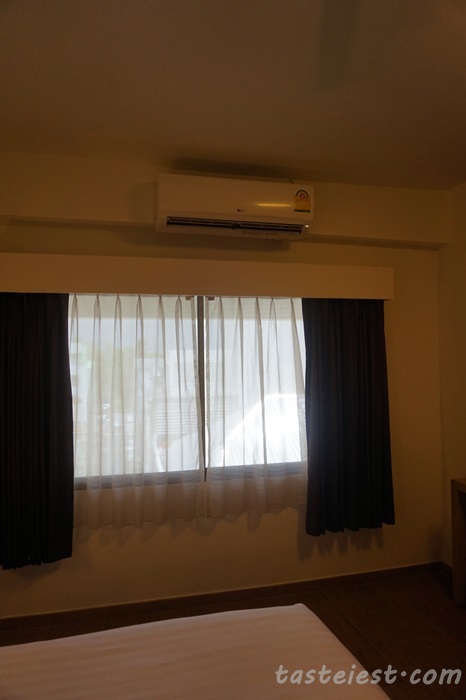 The air-con are extremely cold, we have to turn it off during night time. It work too good for us. 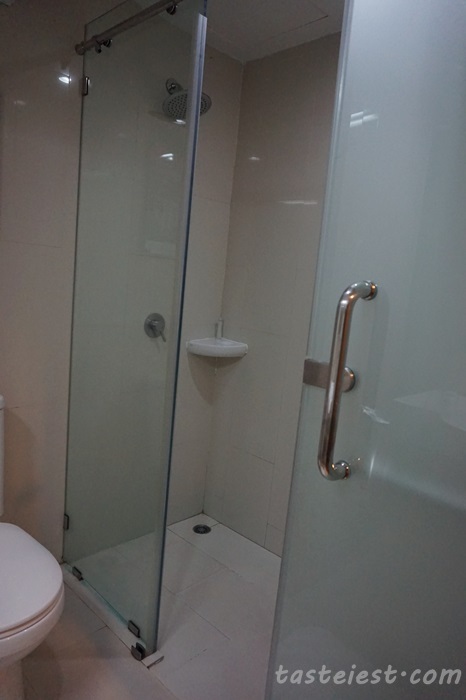 Toilet is clean and without any stain, water pressure is pretty strong as well. Separate area for bath and WC area, but too bad no door in between instead just half close which allow water to spill over to WC area. 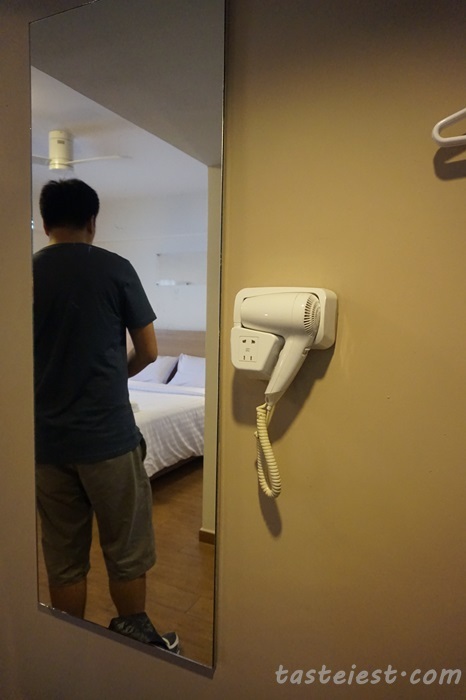 Whole body mirror with hair dryer are provided as well. 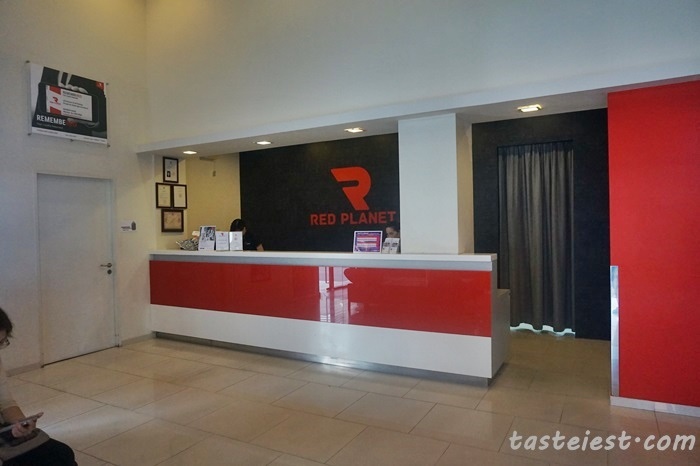 Overall, we found that Red Planet Hotel worth RM115 we paid for and definitely we will stay with them again for future visit. 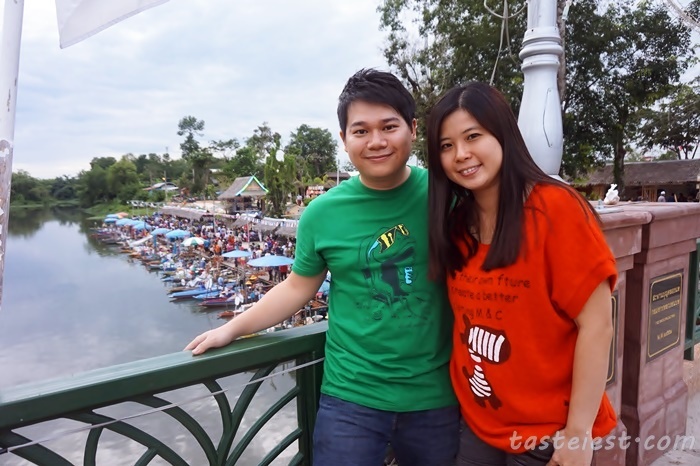 After some rest, our next destination is Big C and KlongHae Floating Market. 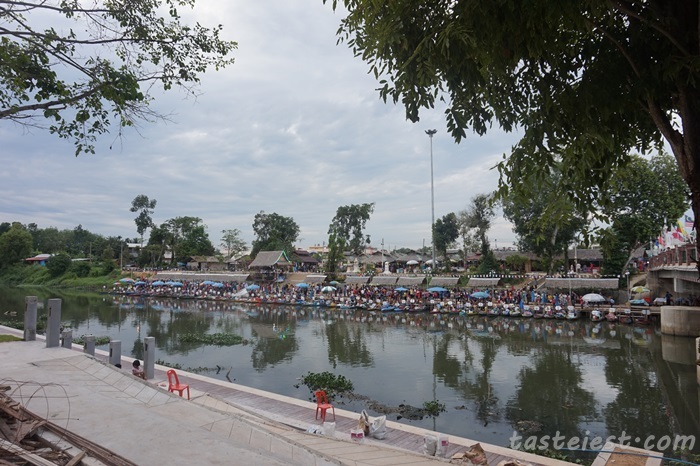 Both destination are put together because Big C is on the way to KlongHae Floating Market and driving our own car to there is much cheaper compare to TukTuk, much more convenient as well. 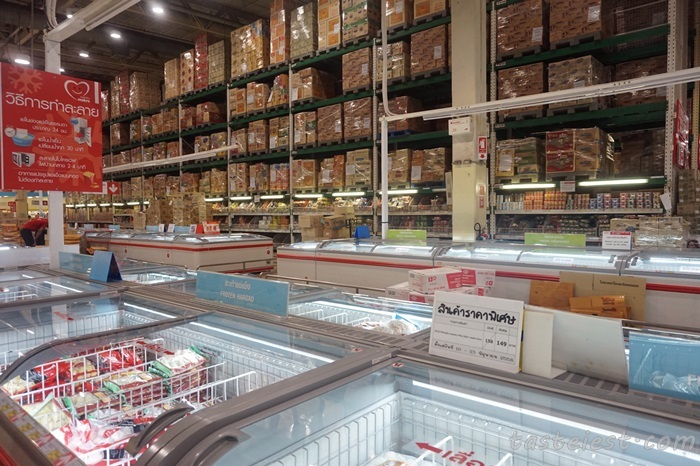 Big C are pretty much like Tesco, we did not buy much here since we just bought a lot from Tesco. There is some story regarding this CP Ham, our friends HH has since change to new name Tan Ham Ham just because of this Ham. Why? 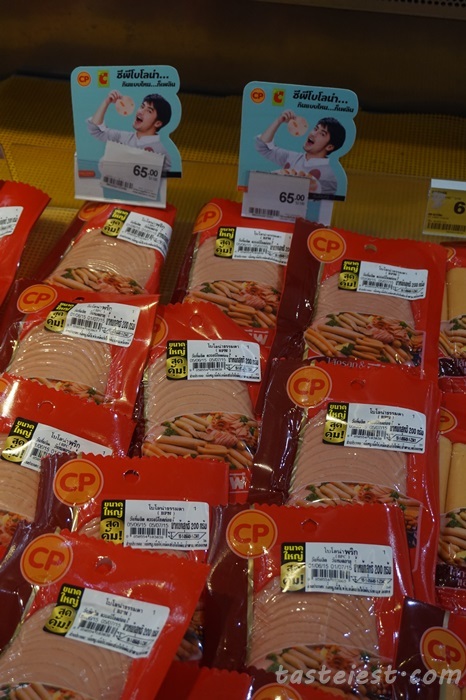 She is so crazy about this brand of Ham and ask us bought 20packs for her and she finish it within 2 weeks, each pack has 10pcs which come to a total of 200pcs that she finish alone. Unbelievable. Since she love it so much, we believe it must be good but we do not have a way to cook it so the only way is to eat it in 7-11 where they can heat it up for us. 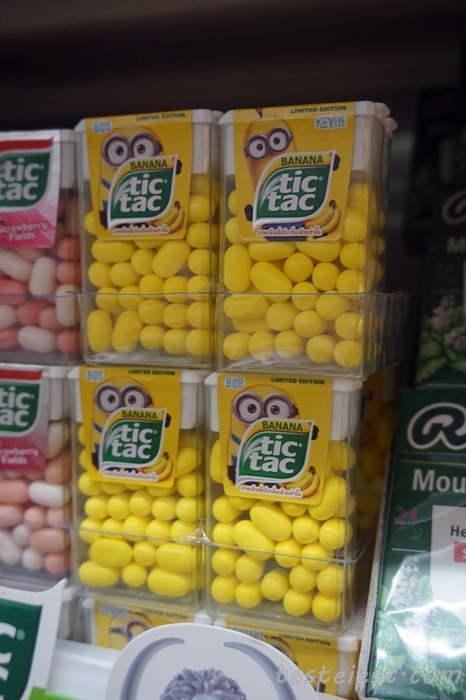 Does it really taste that good? Stay Tune…. Best of the best, Lays Chips. 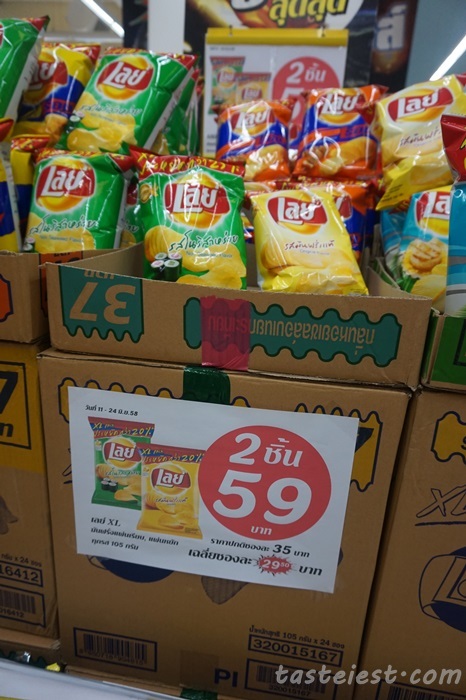 In Thailand you can find many different flavor of chips, there is just so many that we can’t buy all but still our highly recommended flavor is Seaweed, give it a try. 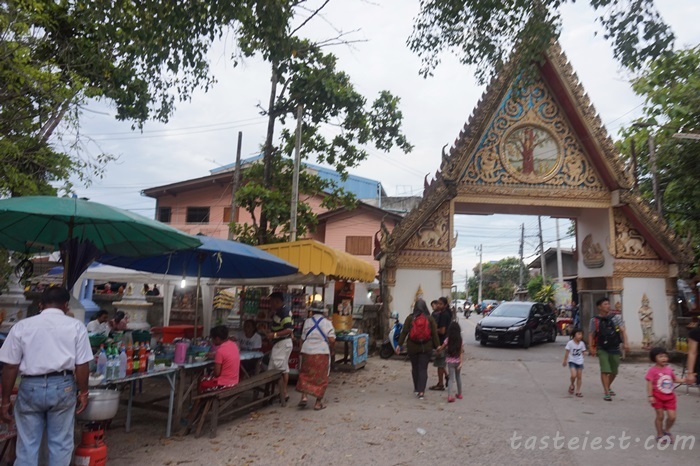 After Big C we proceed to KlongHae Floating Market, if you happen to drive here you may find the parking space behind this arch. Just drive into the temple and park inside for just 20baht. Sometime it will be very crowded but no worry, you can still drive in. 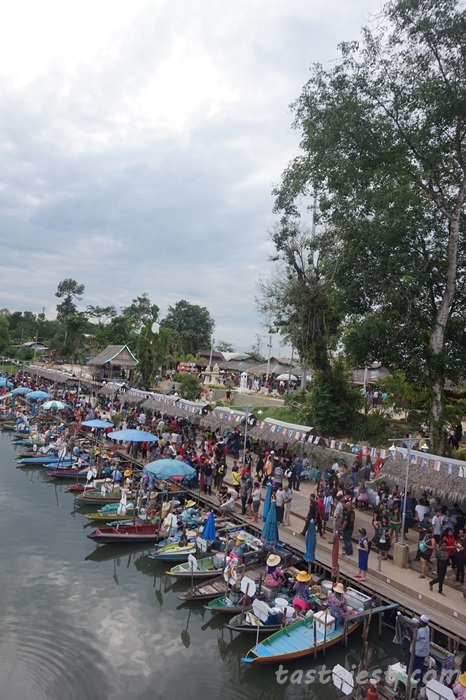 KlongHae Floating Market only available on Friday, Saturday and Sunday from 4pm – night. 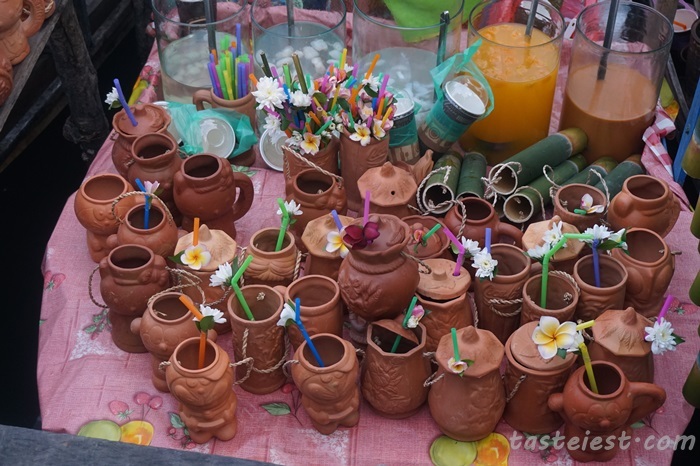 Lot of local and tourist like to visit here for food, souvenir and games. 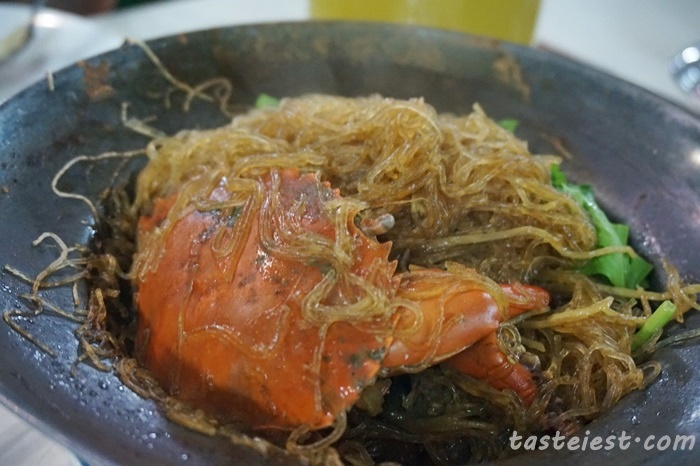 There is one hawker that a lot tourist curious to visit, that is exotic deep fried insect. We has been visiting here for so many times but never try it even once, we just don’t have that courage to eat insect. 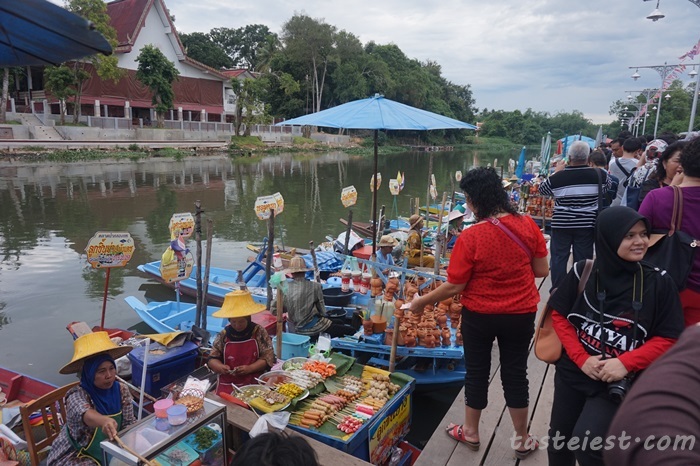 KlongHae Floating Market are pretty big, some walking distance toward the river where all the boat are there for food selling. 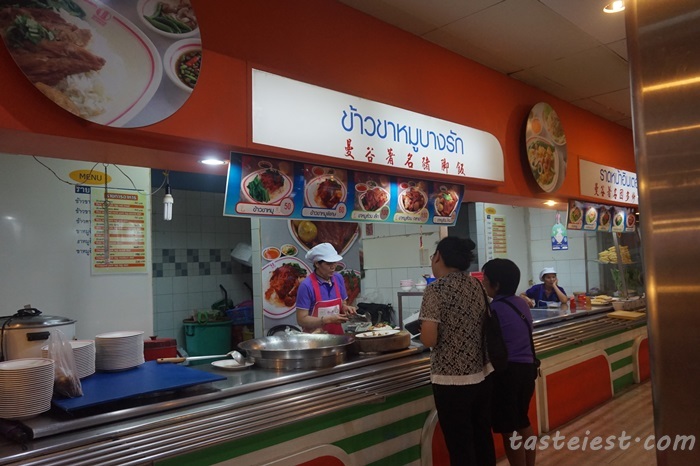 Food sold here are quite repeat, taste are pretty much the same as well, price are exactly the same for same food items, ranging from 10baht to 100baht depend on what you order. 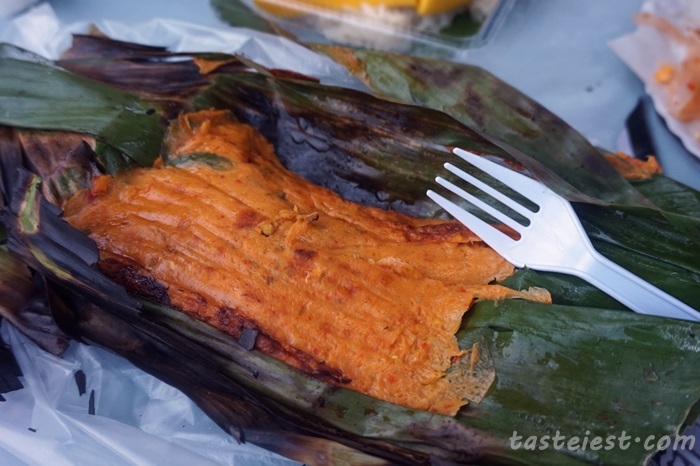 On my n visit here, i found those food to be normal and nothing special but still i recommend to try the Otak-Otak which really taste good, spicy and flavorful. A lot first time visitor will buy this drinks, the drink come with the cup together. What make it special is definitely the cup that has various design such as Hello Kitty, Flower, Doraemon…etc. Drink is pretty normal. 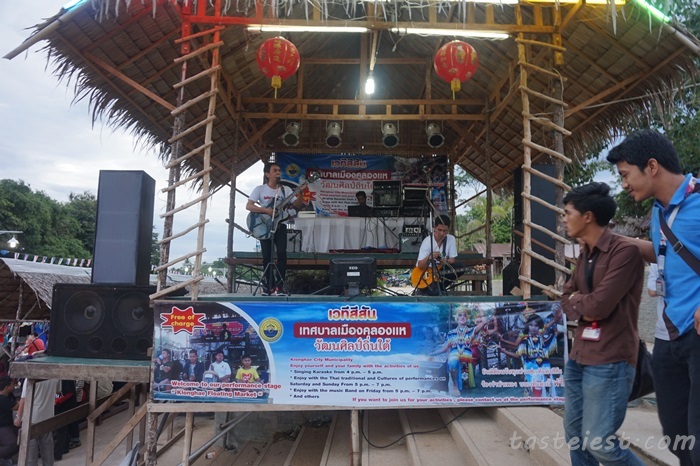 By the way, during our visit there is live performance but honestly the sound are awkward, they are singing English song but it sound like Thai and none of the word can be heard clearly. 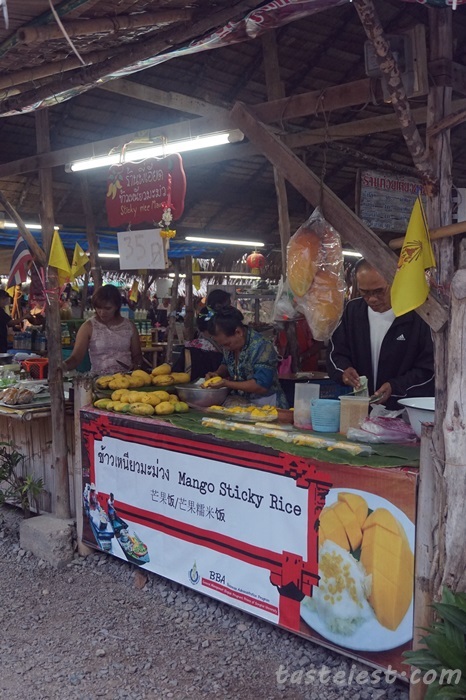 Further into market you will come into stall that sell food, fruits, snacks, t-shirt, souvenir…etc. 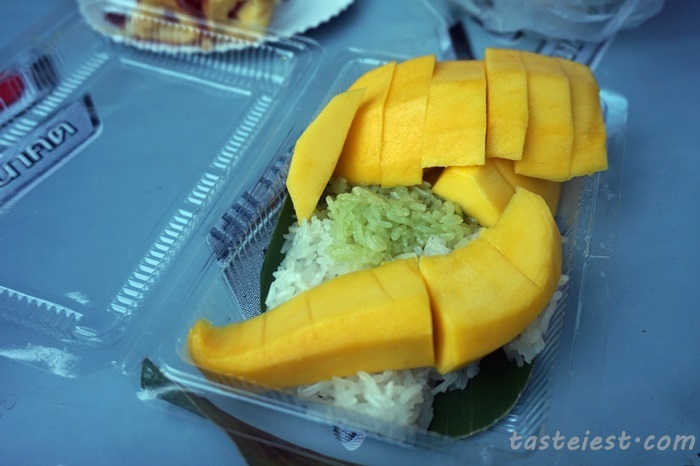 Remember to try this Mango Sticky Rice, very generous amount of Mango are given in every plate, the sticky rice is nicely cook to soft texture as well, eating together with the coconut milk, mango and sticky rice is just awesome. 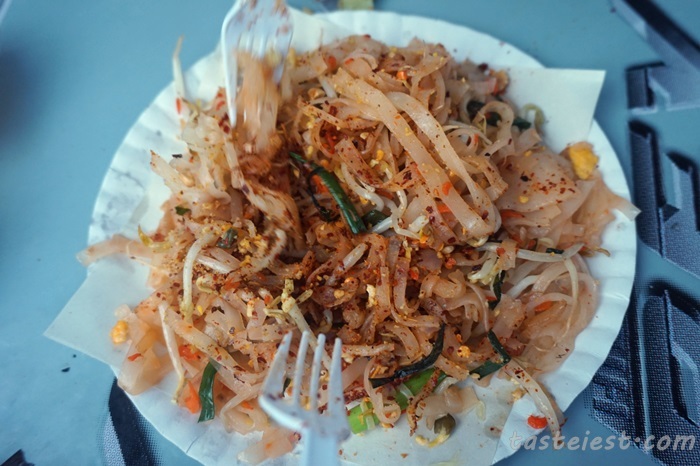 Pad Thai, fried thai koay teow which taste just normal. 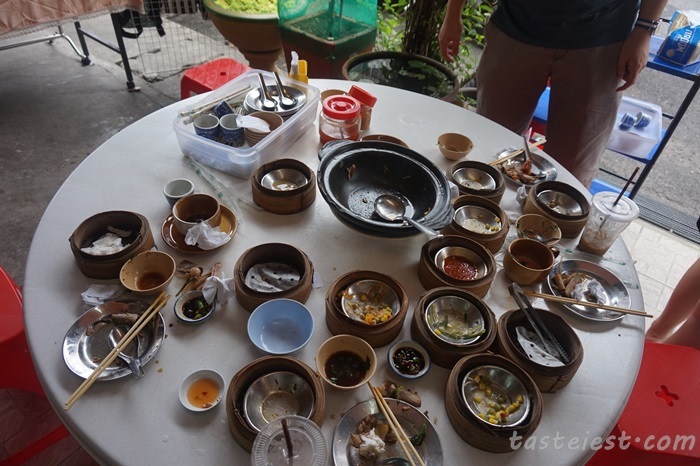 It doesn’t has the taste we looking for, the one we ate in Bangkok taste much better. After visit KlongHae Floating Market, we went back to Hotel and take Tuk-Tuk to Samila Seafood Restaurant, parking in this area is very limited so Tuk-Tuk is the best option. We came to this restaurant almost every time, although some complain expensive but we found it to be reasonable price and high on food quality. 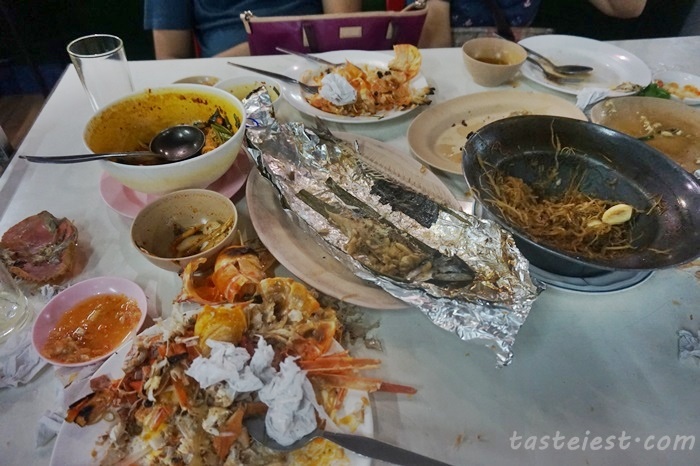 Initially we order for 4 dishes but later on i walk around and saw the big prawn, i order another 2 big prawn but sadly my friends not really enjoy it. They are not just as big eater as we do. HaHa! 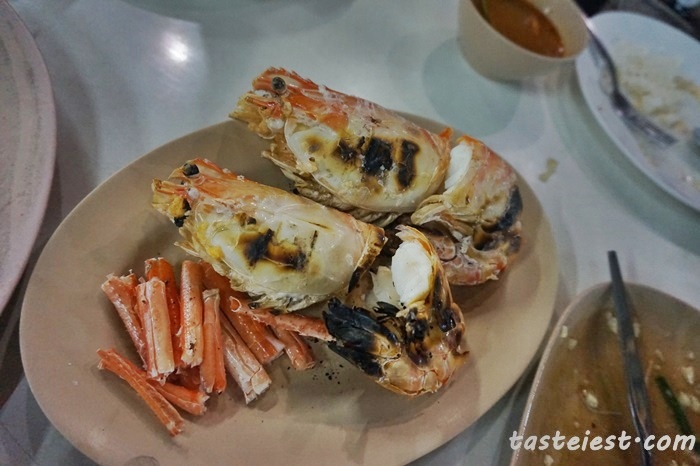 Anyhow, check out our previous visit to Samila Seafood. 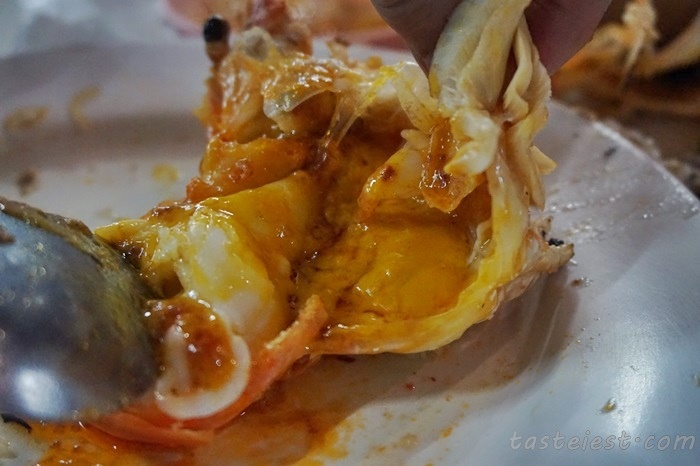 Look at the prawn roe, it totally fill up one big spoon. 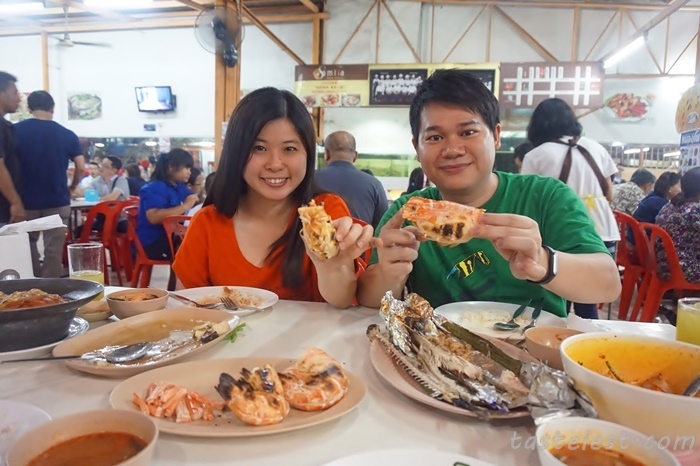 We are so full but i am pretty sure my friends not really enjoy, they seem like not a seafood lover. Next time should bring them for something else. After finish seafood dinner, we decided the try out the Ham mention by HH at nearby 7-11. Just bought one pack and ask them to heat up for us, in just a few minute our ham is ready, very hot. 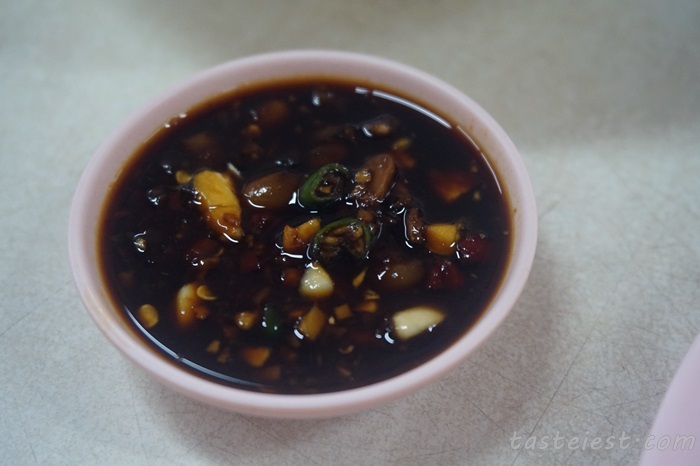 The ham has some chili in between which is quite spicy, the ham itself taste sauteed but honestly not our favorite. We rarely eat process food like ham or sausage so we not really know how to appreciate this, i wonder how HH can consume so many packs….emmm! That conclude our Day 1 at Hatyai. Initially we plan to visit Da Ren Dim Sum but walking to the restaurant and found out almost no customer, we decided to try something else. 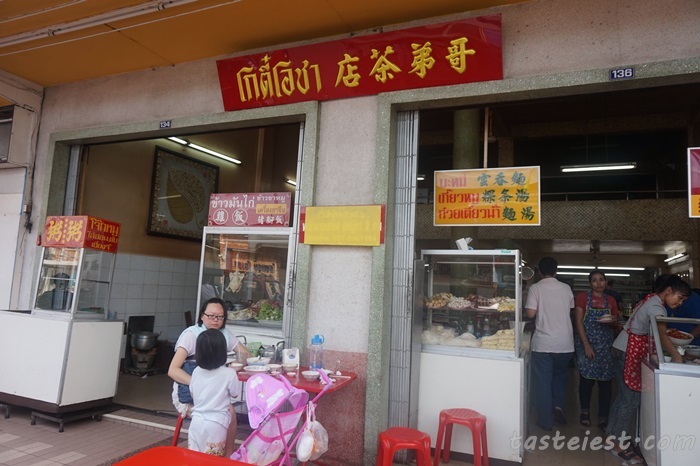 Just opposite the restaurant we saw this small shop selling various food like soup noodle, chicken rice and bah kut teh, we decided to give it a try. 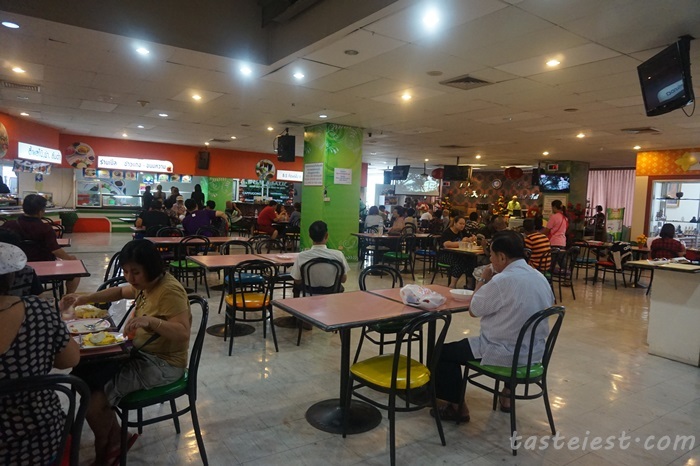 Most of the customer are local and we are the only tourist, we order chicken rice and bah kut teh. 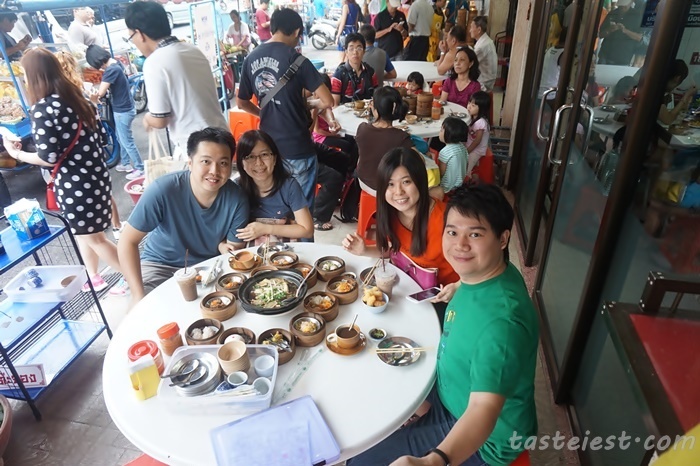 Overall taste just normal, the Bah Kut Teh not as good as lucky dim sum. The chili sauce taste very good. 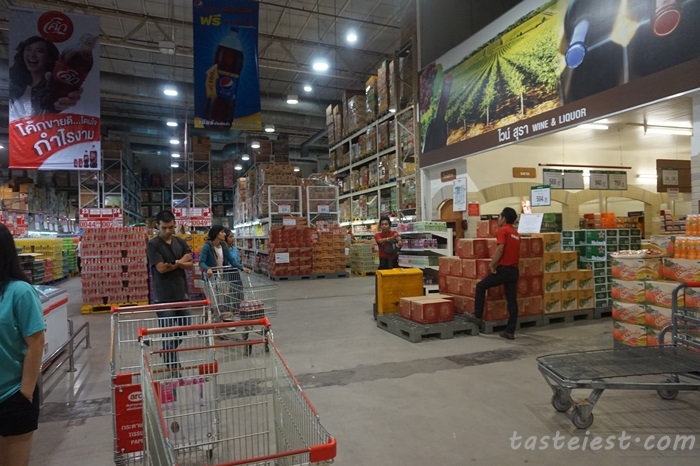 Time for shopping again, follow our plan to visit “Pasar” aka big market. Taking tuk-tuk there for 20baht per person, you just need to mention “Pasar” and all the tuk-tuk driver will know where is it, it just about 5 minutes ride from Lee Garden area. Pasar open hour from early morning till late in the afternoon. 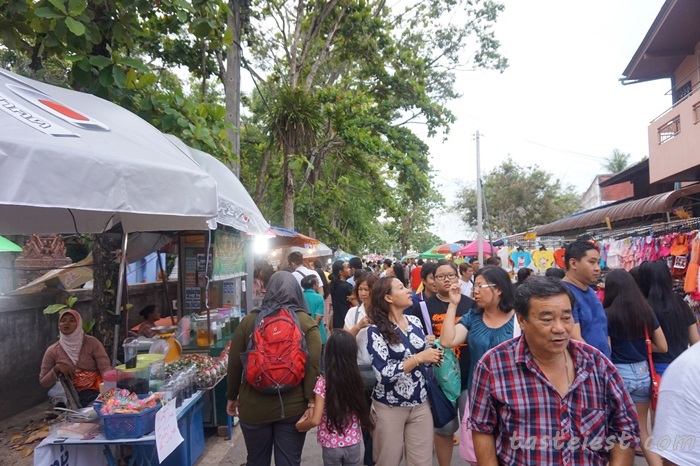 It is very crowded and you can get almost anything here such as food, fruits, drinks, shirt, shoes, bag, dried food, snack…etc. Most of the time I bought from this shop, I found their price to be reasonable and the most important still the friendly service. The shop is located beside main road and you can find this shop by looking for this owner. 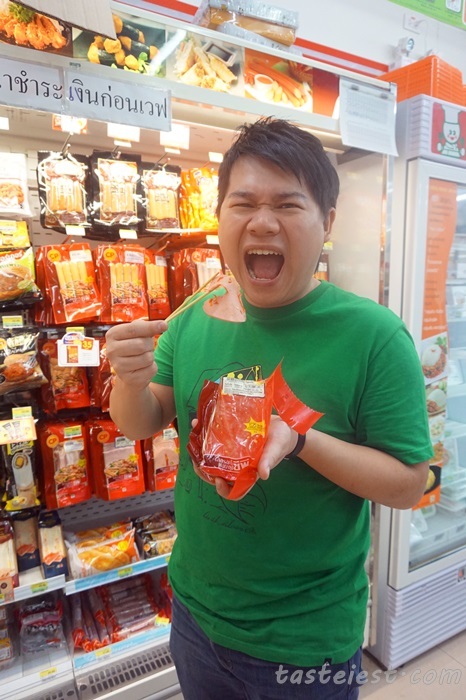 He can speak Hokkien and Mandarin too, so it is very convenient to buy thing here. 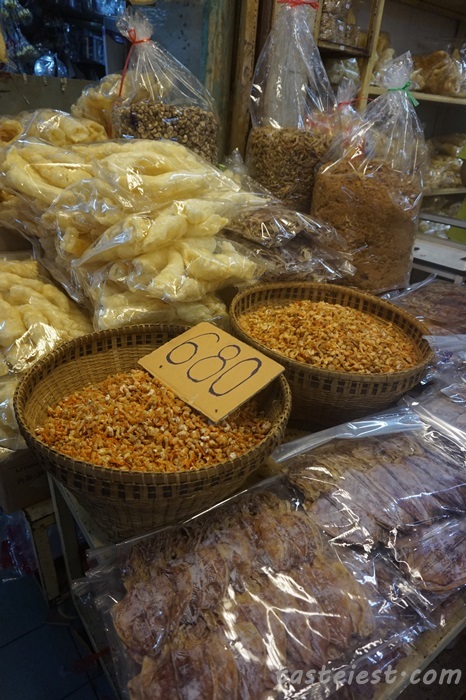 There is a lot of thing to buy here such as Dried Longan, Dried Jack Fruits, Dried Mango, Fried Ikan Bilis, various nuts…etc. Honestly, the price is not really really cheap but still cheaper than Malaysia. After tired walking, we decided to have a coconut drinks. 35baht each, how come so expensive? just because we are tourist? 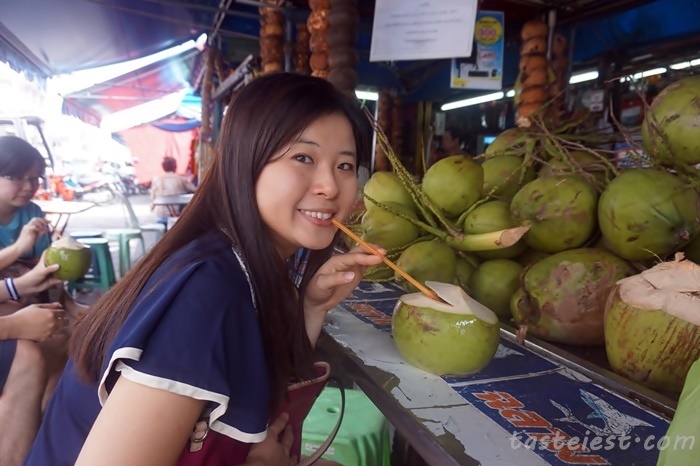 Em, honestly the coconut drinks is not as good as the one we try in Bangkok which taste sweet without sour taste. 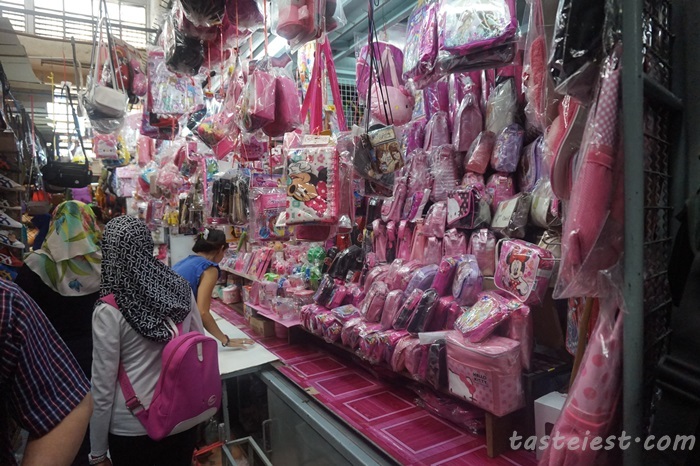 Finally my wife found her Hello Kitty bag stall, the owner is not really friendly at first but after some talking and she know we are “genuine” buyer then only she start to entertain us, before that she keep saying “fix price” “no discount”. I believe too many nonsense buyer asking for discount and not buying, that why most of the seller has become frustrated and not so friendly. Anyhow, after we bought one bag, suddenly she become so friendly and we decided to bought another one, she even give us better discount. *Important* Please do not simply ask for discount if you are not serious in buying, it is not fair to seller and it created frustration. Please respect seller. 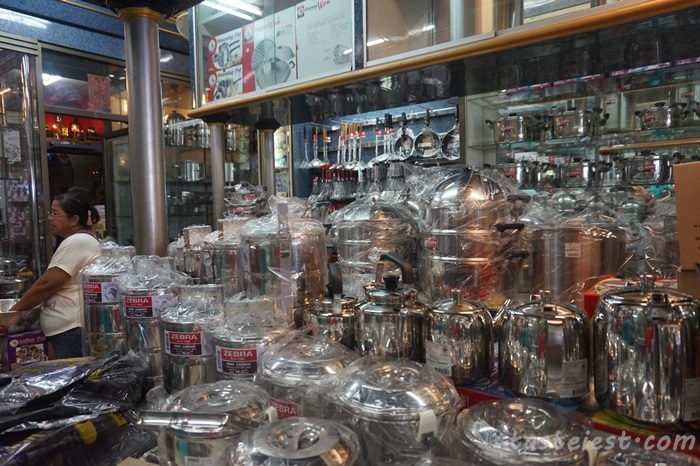 Just opposite “Pasar” is the famous Zebra brand stainless steel cookware, in the same row there is over 4 shop selling the same thing but price slightly different, different between 5 to 30 baht. You may negotiate a little bit but not much discount unless you bought a lot, we bought a few items and manage to get good pricing. You can get up to almost 30% cheaper compare to Malaysia price and honestly the quality is really top, some model are not available in Malaysia as well. 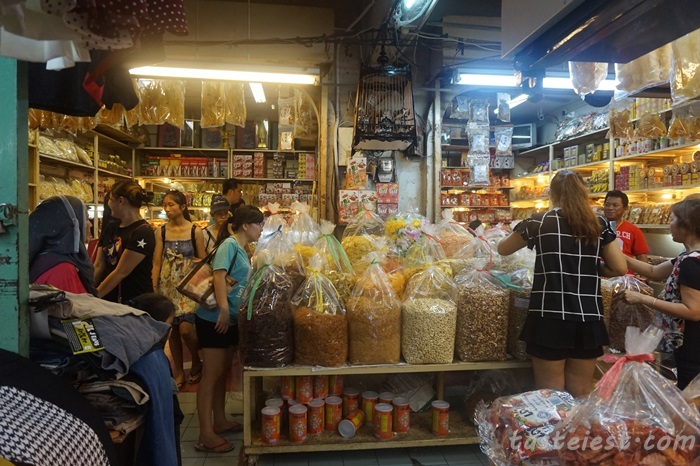 I did not take much photo in Pasar as it quite hot here but there is just too many thing to buy that you will be busy shopping and forgot the rest. We took almost 3 hour shopping here and rush back to Hotel for check out. We are glad that Red Planet Hotel allow late check out without additional charge, we take bath and rest for a while then check out at 1.30pm. Put all our staff in car and walk to Lee Garden area for shopping and massage. 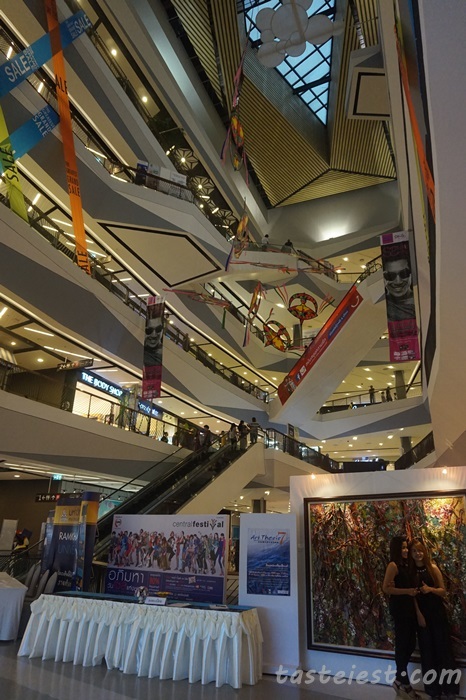 First stop at Odean Shopping Mall, I never know there is a food court on top floor until I read travel itinerary from Internet. 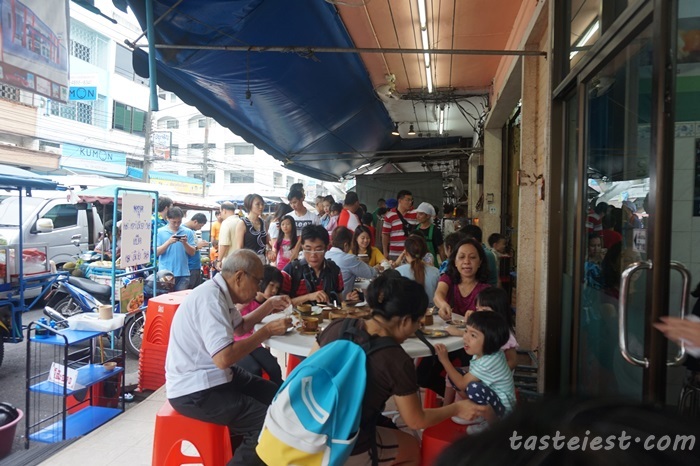 Get to know that one of the famous Pork Leg Rice is located here and for meat lover for sure i won’t miss it. 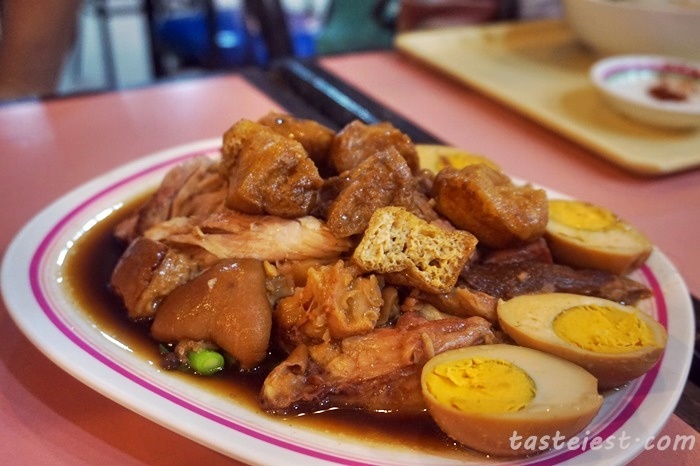 The Pork Leg are braised in one big bowl with egg and tofu. 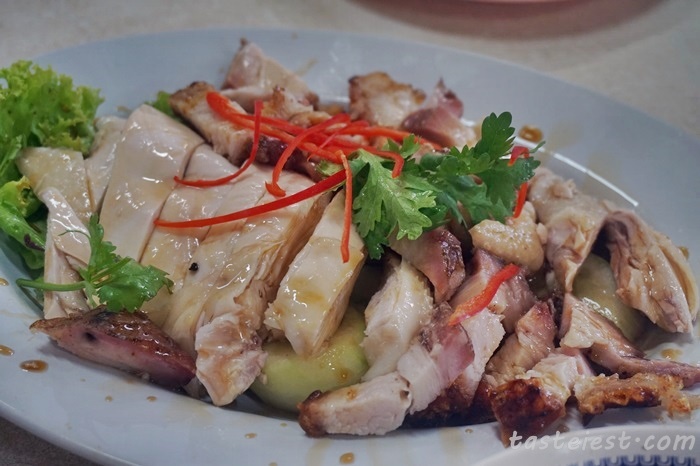 You can choose to have the fat part or meat part, I would suggest to go for mix which you can taste the meat texture together with layer of pork fat which gave a very smooth texture. 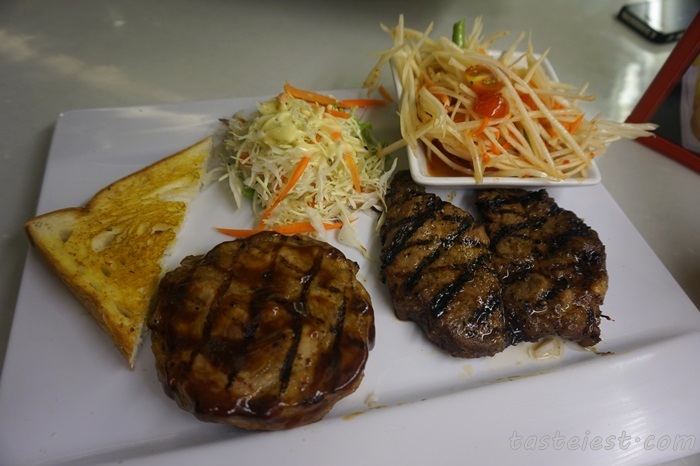 I order one big portion for 230baht with 3 rice 30baht. Portion really big, it came with whole lot of pork meat, vegetable, 2 egg and tofu. It definitely enough to feed 4 adults. 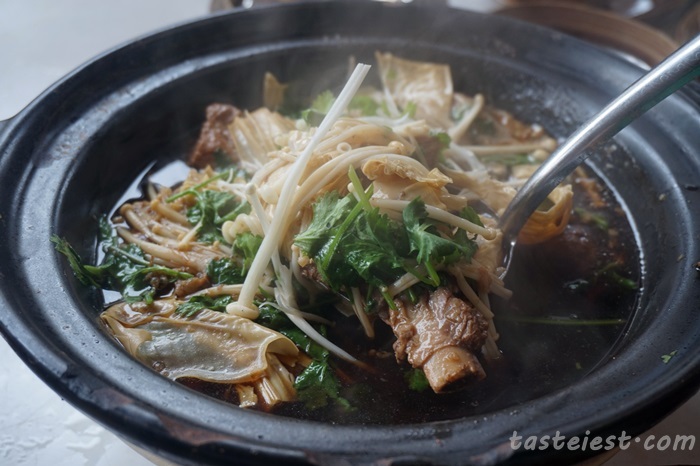 The pork leg is nicely cook to extremely soft texture and the soup has very strong flavor as well. Very delicious. 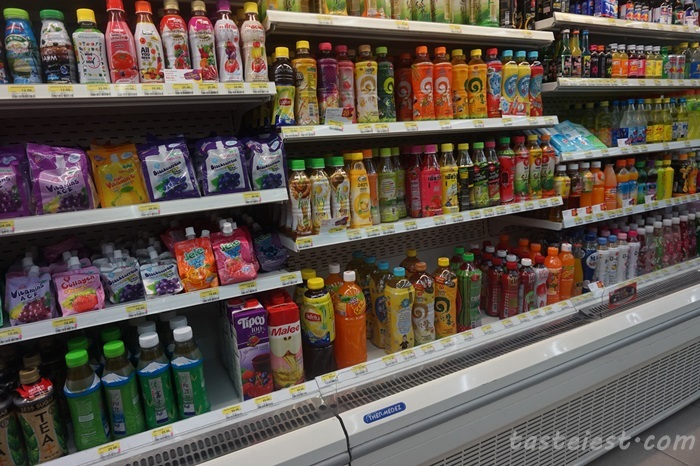 After that we went to 7-11 to buy some drinks, really impress by the huge variety of items sold in 7-11 Thailand. 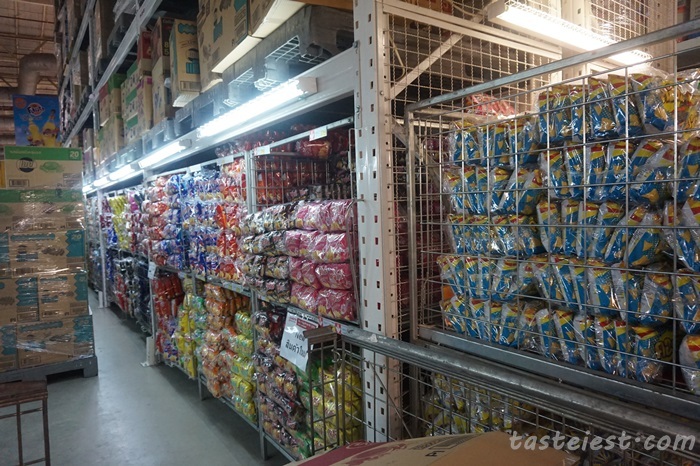 You can get almost anything here and the best is the price are almost the same as Tesco, unlike Malaysia 7-11 where the price is much much higher. Tired walking? 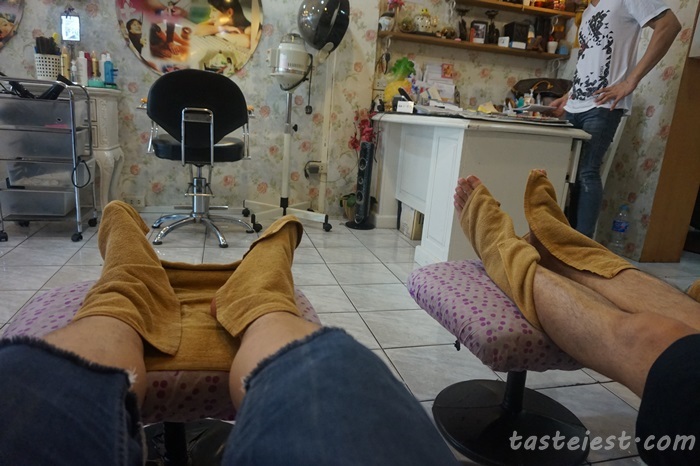 Every few meter away there is a massage shop near Lee Garden area, you can simply choose one and go in for relax. 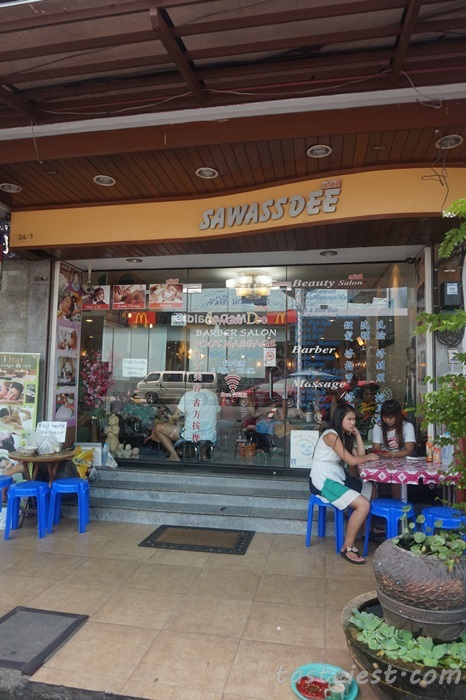 We went for this shop located just next to Lee Garden Plaza, 250baht for 1 hour leg massage. Not really leg massage actually because they will massage your hand, back and head as well. Thai massage involve great pulling that help to release your muscle. There is some other massage service available such as whole body Thai Massage, oil Massage…etc, starting price from 200baht which is very cheap compare to Malaysia. *Important*, I do not recommend to massage at your own hotel room because it tends to be more expensive and they keep asking for tips. We had very bad experience on our last visit to Hatyai, we have 2 massage therapist came into our room for oil massage, if not mistaken they charge 300baht for 45minutes but both of them keep talking to each others and massage skill is not comfortable as well, worst is they keep asking for tips. 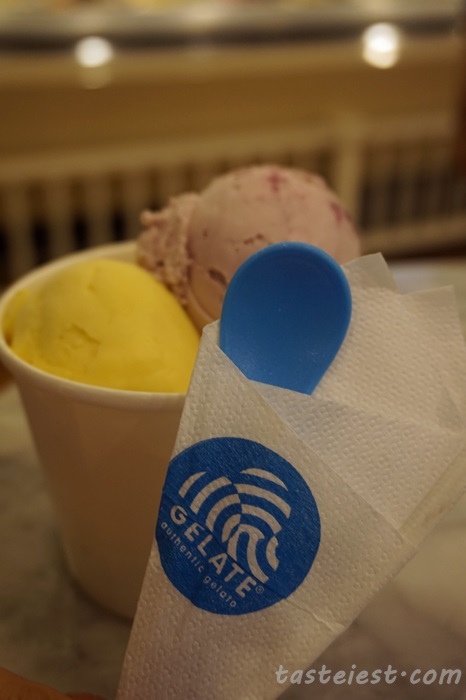 After massage we decided to eat Ice Cream at Gelate which located inside Lee Garden, many flavor available and you can try before order just like Baskin Robin. 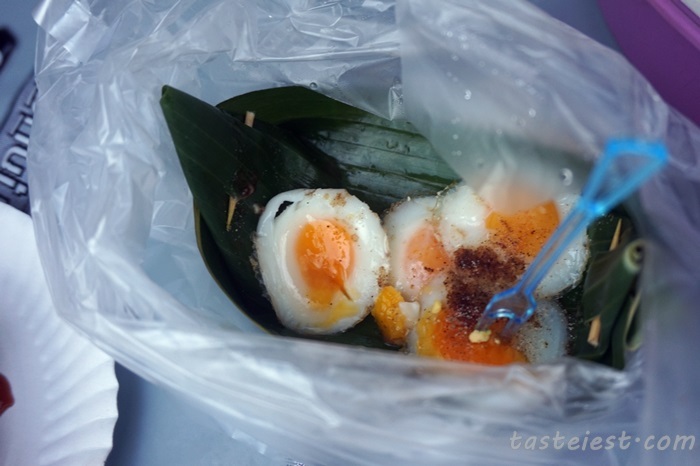 I saw this selling at the corridor and it remind me of the snack we ate at Ayutthaya. 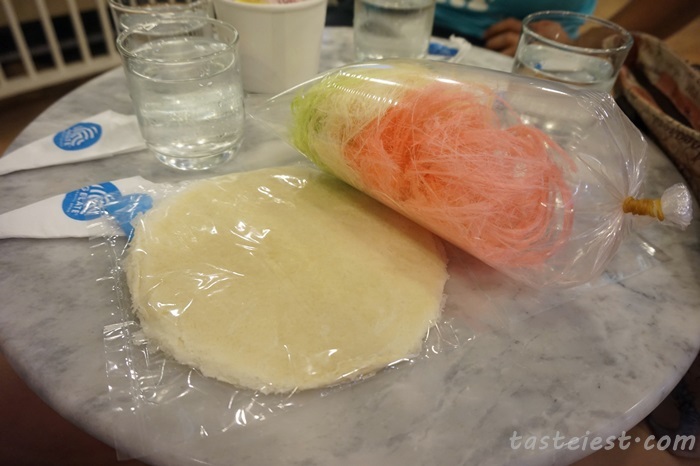 Roti Sai Mai, those hairy thing is actually made from sugar and the bottom is popiah which has mild salty taste. 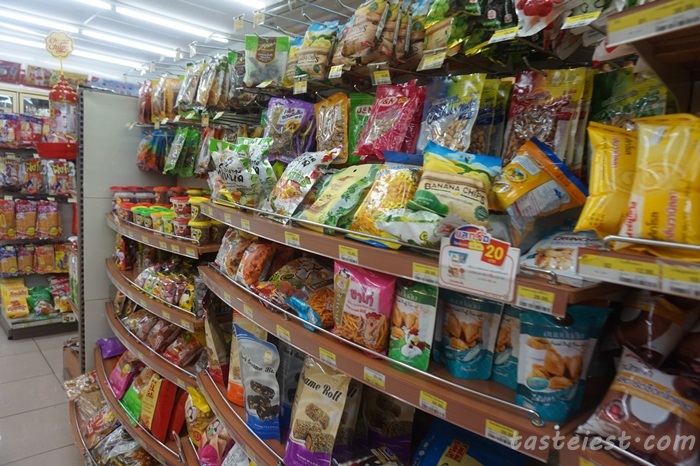 After enough shopping and walking at Lee Garden area, we move to Macro for groceries shopping. *Important* You need to be a member to make purchase here, for tourist you may go to information counter and they will provide you temporary card for purchase. 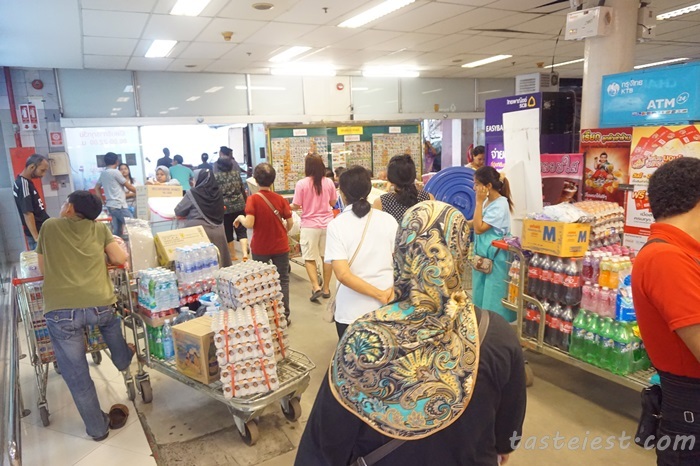 Don’t be surprise to see big crowd here, shopper are buying in bulk and they buy a lot, what i mean a lot is one person pushing a few trolley. 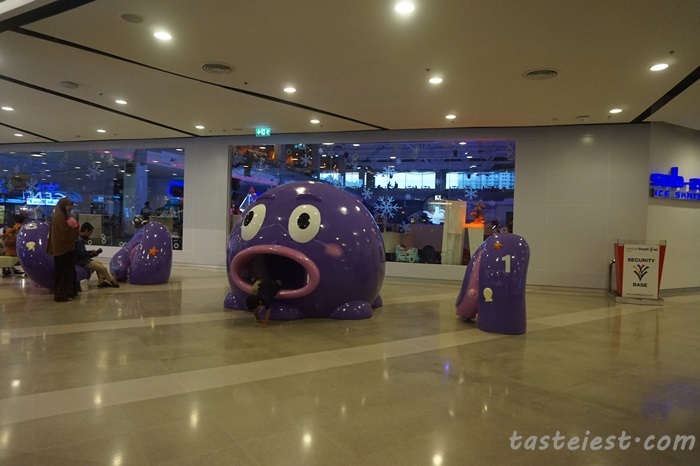 Yes, that is how scary they bought thing here. 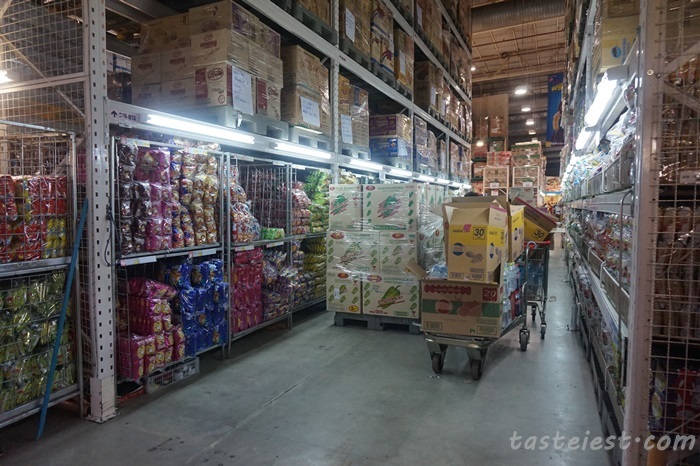 Inside Makro is like Ikea, everything are nicely place at big shelve and everything must be buy in bulk. It is so big and so many choices available. HuHu! Guess how much we spend here? 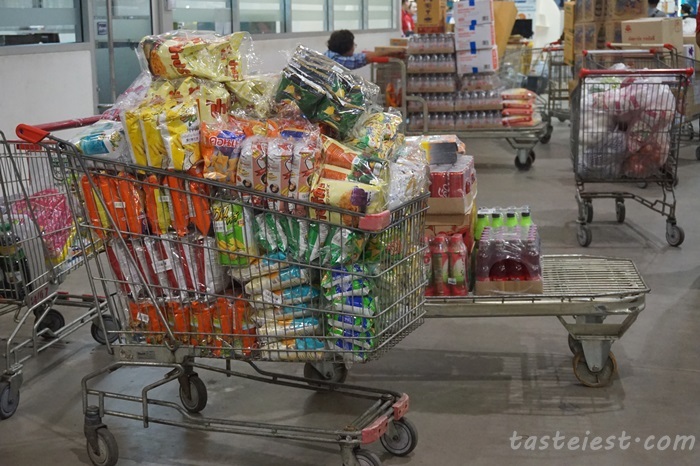 Two big full trolley…. 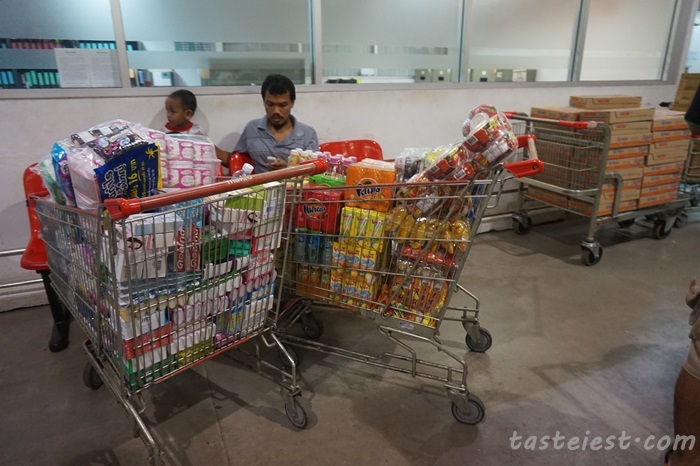 Ops, actually that is other people trolley, instead we just bought some because we have no more money left and our car are full as well. 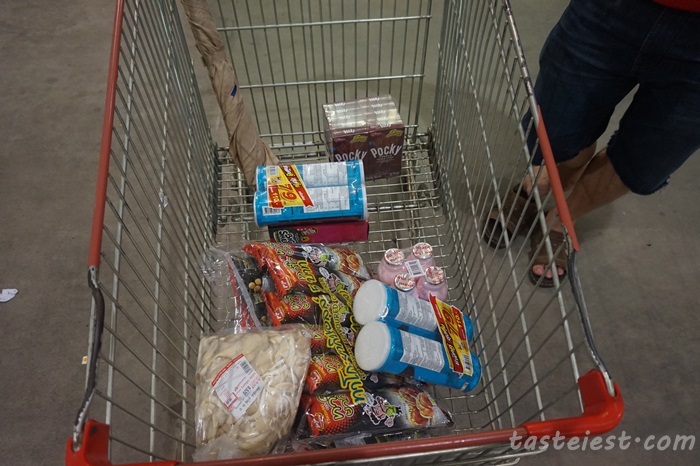 We just bought some items, we regret spending too much at Tesco instead we should bought everything here. Much cheaper. See, it almost 100% fill up, we got no more space for more item. Luckily that 2 big trolley is not belong to us else we need to put on roof top. 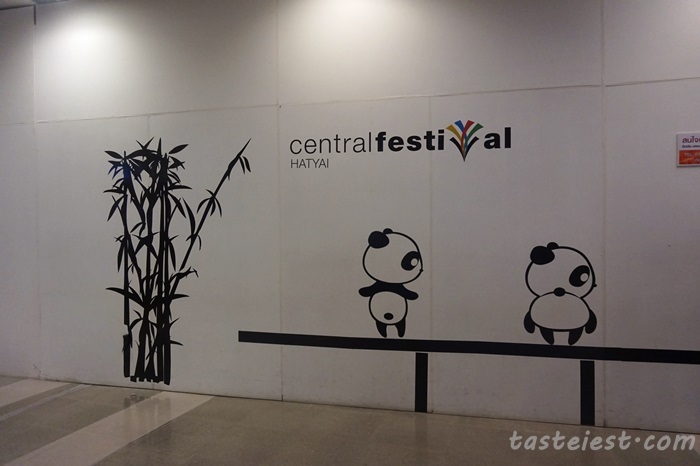 Last destination, Central Festival Hatyai. 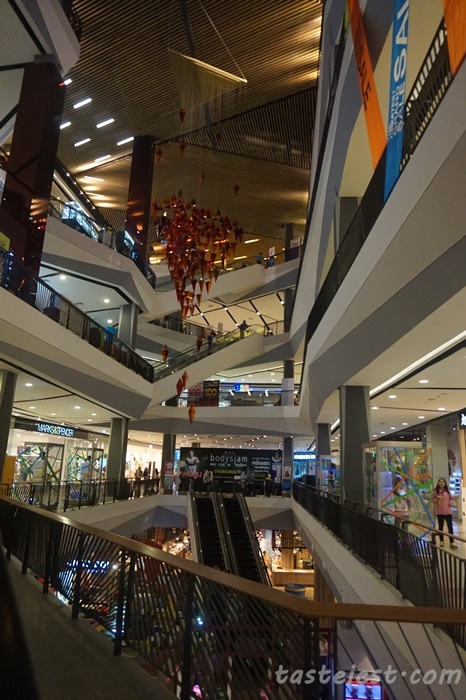 It is a new and big shopping mall in Hatyai, ample parking space available and it is free. 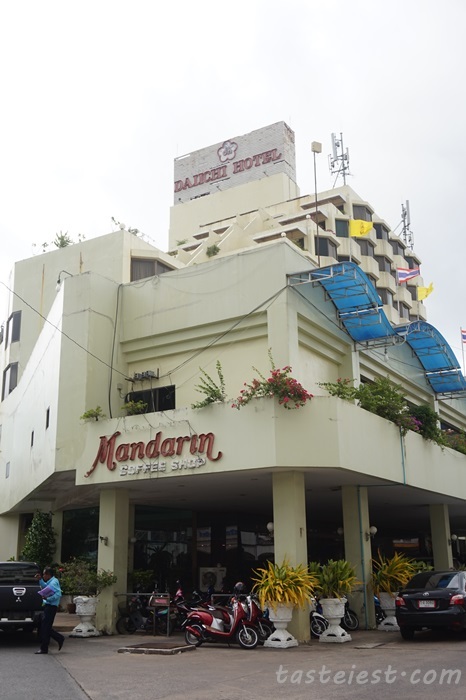 It located around 10 – 15 minute from Lee Garden area, if stay at Red Planet Hotel then you can commute here with free shuttle else Tuk-Tuk for just 20baht per ride per person. 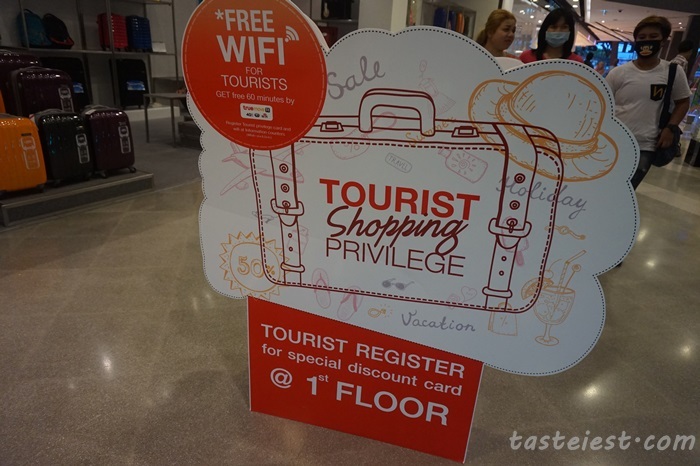 Free 1 hour WIFI and Privilege Discount Card for tourist. What you need to do is just fill up a simple form at Information counter and they will provide you both items for FREE. Free WIFI can be use anytime, 60 minutes start from the time you activate. Speed is acceptable but not significantly fast, enough for Facebook upload photo. 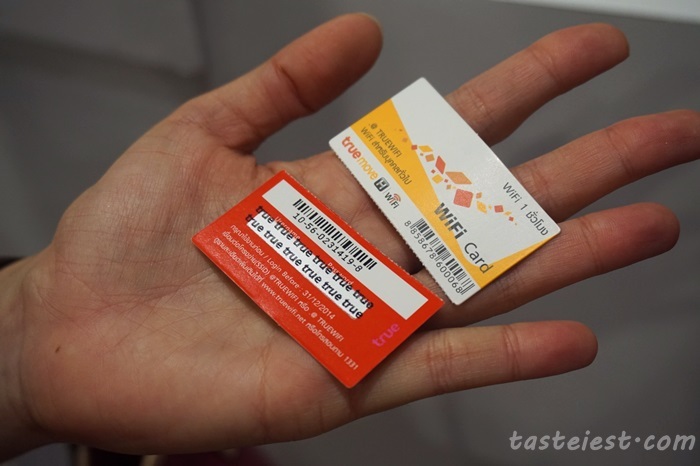 I found the discount card to be pretty useless, we did not get a chance to use it. 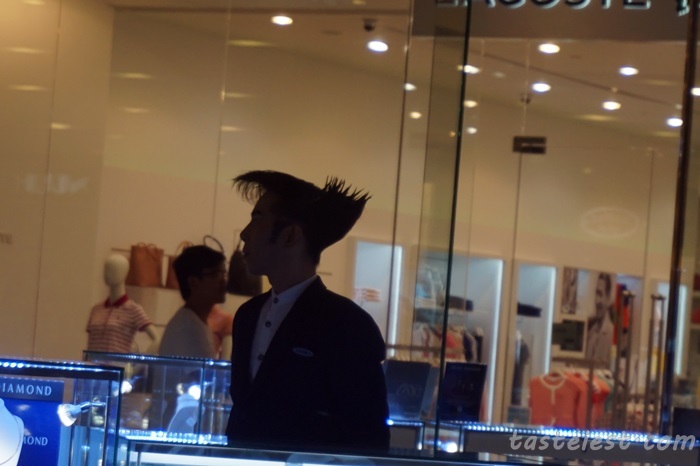 Oh Man, this guy hair is very cool. I wonder how many hour he need to get this cool. 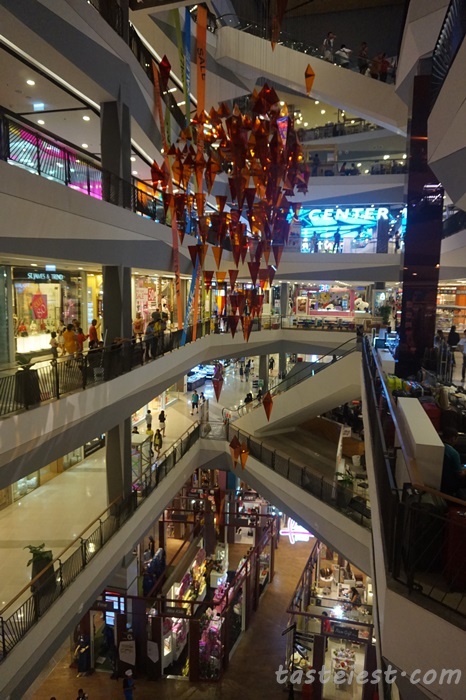 Overall shopping in Central Festival Hatyai is not so fun compare to Pasar but there is a lot buffet restaurant at top floor which look to be very interesting. Settle our dinner at Jeffers before going back to Malaysia, we use to have good experience dining at Jeffer Bangkok but seem like this time the experience is just so so. 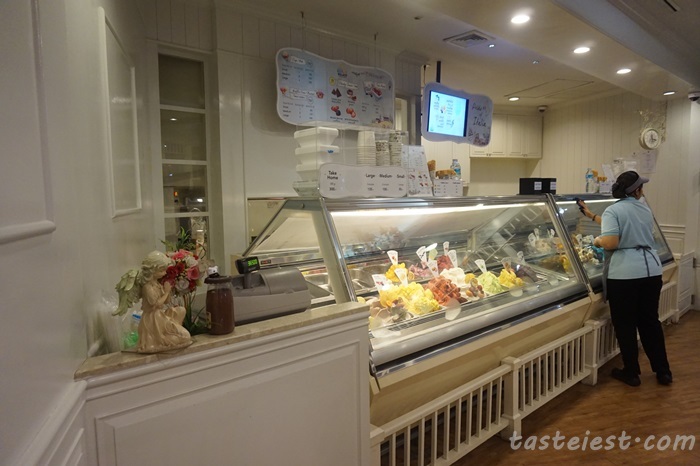 The food is not as good but price still reasonable. 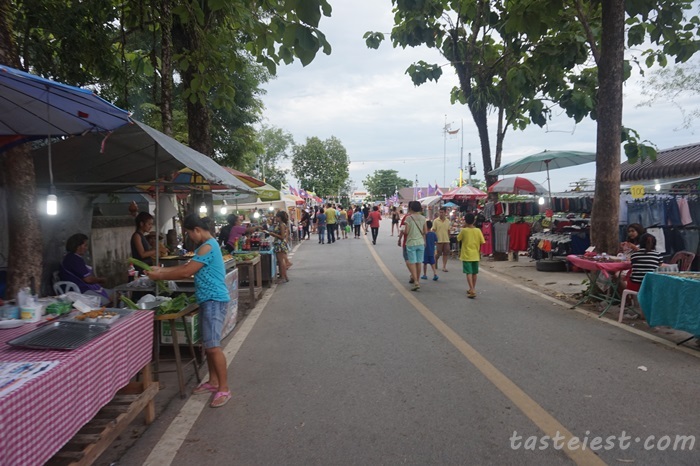 That conclude our journey to Hatyai, a great short vacation for food and shopping. 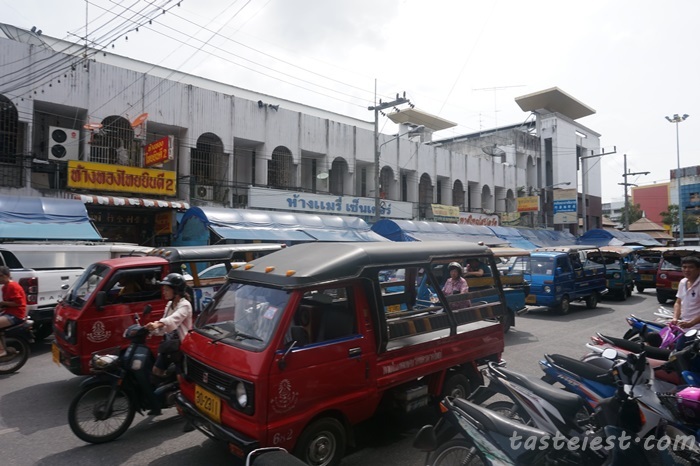 Driving to Hatyai is simple and fun, it is cheap as well. We really enjoy Thai food a lot and massage is so relaxing. We will be back, soon maybe? Stay Tune! 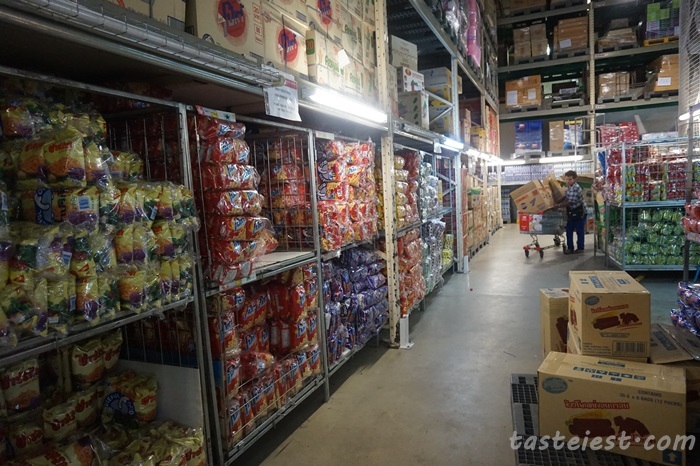 There are a lot of varieties of food open in Malaysia. Thanks for such a fine blog. 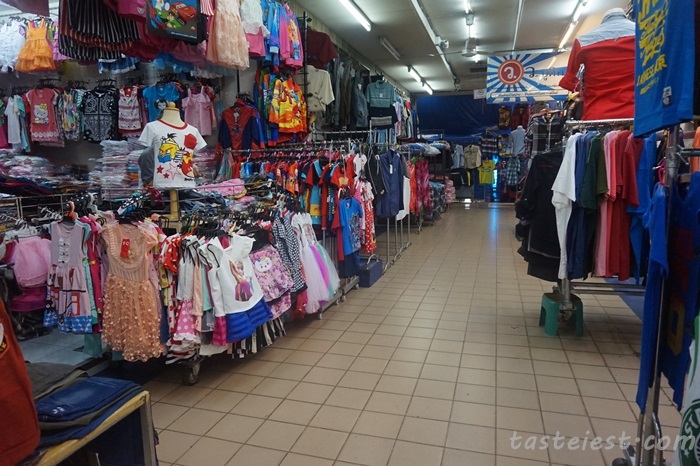 There is a very nice place to buy various things online.